a harmonica buyer’s guide for beginners. First, I want to mention that I have not received money or other compensation from any company or publisher. Secondly, my reviews found in this post are based mostly on my experience, but also on some reviews I’ve watched or read. Do not buy a used harmonica, or borrow a friend’s or relative’s harmonica. Buy a new harmonica. Do not let anyone else play your instrument. Keep it out of reach of children and obnoxiously curious adults. There are two types of harmonicas. 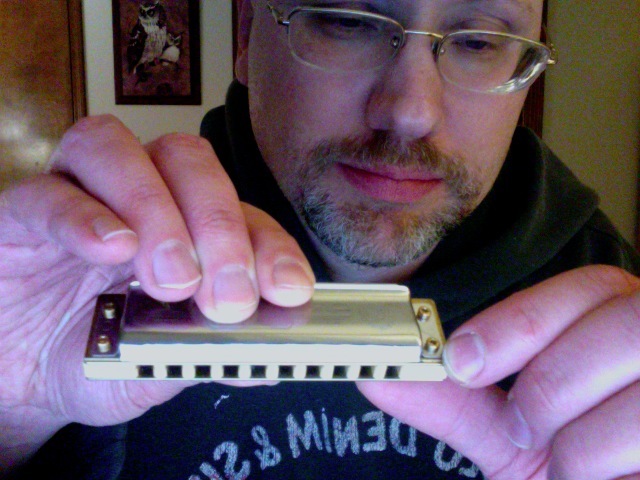 The more well-known kind, the one I am writing about, is called a diatonic harmonica. There is a much more expensive, larger, and harder to play harmonica called a chromatic harmonica. I don’t recommend starting with one of those. What do “diatonic” and “chromatic” mean? Feel free to look up those words.. they would take awhile to explain. The type of diatonic harmonica I’m writing about is called a “major diatonic,” because it is based on a major scale. I’m not going to get into major vs. minor scales. Music theory is complicated, and you won’t need much, if any of it, when you are starting out. Although blues is the most popular style, it is also possible to play rock, Celtic, folk, country, jazz, and even a bit of classical on a major diatonic harmonica. Harmonicas are sometimes called “harps.” I’m not going to get into why now. If you want to find out, scroll far lower in this post to part III. But read the rest of this summary first. Do not buy a cheap harmonica. Spend at least $30. Good harmonicas will more likely be in tune, easier to play, and more durable. You will likely find the best deals online. Check out ebay. Make sure the ebay listings you are looking at say “new,” not “used” or “new, other.” Often the headline with the picture will not say “new” or “used,” but after you’ve clicked the link, you can read the product listing. You will find a variety of prices on ebay for each harmonica. Look for free shipping. Compare your best price on ebay to the best price on Amazon, and factor in Amazon and ebay shipping costs, if there are any. Buy a harmonica in the key of C, because almost all educational materials and tutorial videos on youtube are for harmonicas in the key of C.
Buy a Lee Oskar Major Diatonic (not a Lee Oskar Melody Maker or minor key harmonica) $38, or a Hohner Special 20, $40. These are two of my top 5 top picks. They are also two of the most well-known and most played harmonicas on the planet. Another rather good one: Seydel Blues Session Standard – $35. It’s a bit oddly shaped compared to most harmonicas, and takes some getting used to. But I like it. There are two models that are practically identical to each other, even though they are made by different companies.. but both are good choices: Buckeye Music Soul’s Voice ($37), and Suzuki Harpmaster ($35). I think the Harpmaster sounds better than the Soul’s Voice, and is a bit more comfortable. You might feel differently. Both are worth playing. I suggest choosing any of these 5. They are all similar in price..
I’ve tried 14 different models, made by seven different companies. Out of those 14, I picked the three that I think are the easiest to play (not requiring much air to sound a note), the best value for the money (some harmonicas, such as the Suzuki Manji, and Hohner Marine Band Crossover, are over-priced, in my opinion. I still kinda like the Manji though), most durable, and the most comfortable to hold and play. I have one harmonica not on the top 3 list that I like very much. It’s called the Fender Blues DeVille (same name as a classic guitar amplifier made by Fender), which sells for $33. It has excellent, unique tone, and is very easy to play (requires less air than most). Sadly, this model tends to be uncomfortable to play, due to having sharp edges, and cover plates (the top and bottom parts that the lips come in contact with) that are not generally smooth. I have one that is well made, and the edges are not sharp. The cover plate is also good.. but.. Unfortunately, 3 of the 4 Blues DeVille harmonicas I bought were not made very well. I still play the one Blues DeVille which was made well, and like it a lot, though I have to be careful of the edges of the harmonica. It also came with a case that actually opens and closes properly. However, 3 of the 4 also came with cases that were defective.. nearly impossible to open. So, the Fender Blues DeVille does not make it into my list of the top 3 recommendations. But damn, it sure has great tone! If you don’t mind taking a risk, you might like to try this one. Good luck. I’m guessing at least some that leave the factory are made well. 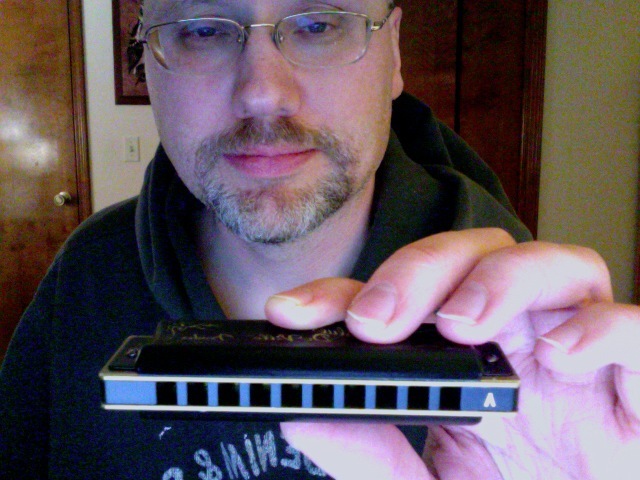 In part VIII of this post, you can watch review videos of all 14 harmonicas, except for the Buckeye Music Soul’s Voice and Bushman Delta Frost, which are practically identical to each other, and also almost identical to the Suzuki Harpmaster. Bushman, which makes the Delta Frost, and once made the Soul’s Voice, is not a very well-known company compared to the others on my list. Buckeye Music, which makes the Soul’s Voice these days, is also a far less known brand than Hohner, Lee Oskar, Suzuki, and Seydel. The only review video I found of a Soul’s Voice was a review of the earlier Bushman-made Soul’s voice. Bushman later sold the name to Buckeye, or something like that, and came out with its own harmonica, called the Delta Frost. I had bad luck with my Bushman Delta Frost (the failure of several reeds after a few months of light, occasional playing). Since the Soul’s Voice, DF and Harpmaster are almost identical to each other.. which one to choose? Right now, I only own one of each. The Harpmaster sounds best, I think. It’s easy to get reed plate/comb sets for the SV. As I mentioned earlier, I’m not sure if these will fit with Harpmaster cover plates. Best I can say is probably. More on replacing reed plates in a bit..
You can learn for free. There are thousands of instructional harmonica videos on youtube. Browse awhile until you find a teacher or teachers whose videos you like best. Look for harmonica books at your local library. Make sure, if possible, to get one that comes with a CD. Here are two books I think are good, and both include a CD: “Play Harmonica: Step One,” by Peter Pickow and Jason A. Shulman, and “You Can Play Harmonica,” by Amy Appleby and Peter Pickow. If your library does not have either of these, no worries, just find a book with a CD if you can. If, in a bookstore or music store, you see a book and harmonica set, bundled together, avoid it. The harps in those sets tend to be of poor quality. Never play your harmonica with food particles in your mouth. Brush your teeth and clear out your mouth first. Do not play your harmonica if you are wearing lipstick or any kind of lip balm or chapstick. Wipe off your lips and make sure they are clean. Do not submerge your harmonica in anything. Yes, some of the old blues legends soaked their harps in hard liquor. Those were harmonicas with wood combs, like the Hohner Marine Band (which I don’t recommend, because the standard model is practically impossible to take apart and clean. Also, the wood comb can warp over time, making the Marine Band harder to play). All the harmonicas I’ve listed in my top 5 have plastic combs. Even harmonics with wood combs should not be soaked in anything. If you want to learn how to take apart and clean harmonicas, scroll quite aways down to part VI. Or just look up harmonica cleaning videos on youtube. Some harmonicas are easier to take apart than others. For example, the Lee Oskar is meant to be taken apart, the Hohner Marine Band is not. Besides cleaning, another reason to dis-assemble your harmonica is to replace the reed plates, if replacement reed plates are available. More on this in just a bit. Lee Oskars are made to be taken apart. It’s a bad idea to completely take apart the Soul’s Voice or Harpmaster to clean these. It’s likely you won’t be able to put one together again, unless you really know what you are doing. Taking off the cover plates of the SV or Harpmaster to clean them is ok though, just don’t remove the reed plates from the comb. I’ve written more about replacing reed plates.. just be patient.. you’re almost there. Taking apart a Seydel Blues Session Steel or Hohner Special 20 might be doable, however, I have not as yet tried to do so. So be careful.. maybe look up a cleaning video specific to the model of harmonica. Some people on youtube recommend regular cleaning, some don’t. There are two ways to play a single note. Either purse your lips so that only a bit of air escapes, or widen your lips some, allowing three notes to be played at once (this is called a “chord”) but block two of the holes with your tongue. The exhaled notes are called “blow” notes, and the inhaled notes are called “draw” notes. It is not uncommon for the draw notes on holes 2 and three to be a little more challenging to play than the rest. Sometimes the draw note on hole #1 is a bit tricky too. When you first get a harmonica, play all the notes individually very gently for a little while. If you play very harshly, especially at first, you could damage the reeds within the instrument. If you can’t get any sound from one or more of the notes, you may have ended up with a defective harmonica. Some ebay vendors offer refunds for defective harps. Amazon usually allows refunds on harps too, especially if the harp is sold directly through Amazon and not a third party. If you see the word “prime” in the listing, the item is sold directly through Amazon. I’ve had to return a few defective harps that were directly sold by Amazon, and had no trouble getting my money back. So far, I’ve not had to try to return any harps I’ve bought on ebay. Check ebay listings to see if there is a refund policy. There are other reasons for not getting a note. Sometimes there is debris from your mouth (if you’ve been playing without cleaning out your mouth first) or something else gets in there. But, as a beginner, you probably won’t know if this is a problem. Tap the harmonica several times against your palm, maybe that will help. Another reason for no sound? Reed failure. This likely won’t happen right away, unless you received a defective harmonica, or have been playing really really hard. The reeds in harmonicas do eventually wear out. Some harps last years, some last months, depending on the instrument, how often you play, and how hard you play. If you can’t get notes to sound, it might be time to either replace your instrument, or if possible, replace the reed plates within it. See, I told ya you were almost there.. now.. onto replacing reed plates on some harps..
You can find Lee Oskar replaceable reed plates online and in some music stores. Make sure to buy a replacement set in the right key. It takes some work to take apart a harmonica with one or more screw drivers, remove the used reed plates, put the new reed plates in, and screw everything back together. But, this is the cheap way to go. Lee Oskar reed plates can cost less than $20, compared to a new $38 LO harp. It’s possible to buy a Lee Oskar tool kit, but you might not need it if you already own a variety of small screwdrivers. You can get replacement reed plates for the Soul’s Voice from harpdepot.com. Unlike the Lee Oskar reed plates, the SV reed plates are shipped already attached to a comb (the middle part of the harmonica where the holes are). These reed plates/combs cost $15 plus shipping, except sometimes harpdepot.com offers free shipping. Just save your cover plates, buy the reed plates/comb, swap out the old reed plates while they are still attached to the comb (no need to unscrew them from the comb as with the Lee Oskar reed plates). Soul’s Voice reed plates/comb might fit with the Suzuki Harpmaster cover plates, but I’m not sure. Suzuki does not make any replacement reed plates for the Harpmaster. Seydel does not make any replacement reed plates for the Blues Session Standard. Which is a bummer. Usually it is impossible to find Hohner replacement reed plates. Those I have found tend to cost even more than a good harmonica, including the Special 20. It’s likely that if you wear out your Hohner, you will need to buy another. Practice daily. If you feel a little light-headed at first, or your lips get a bit sore, don’t worry, that’s normal, just take it easy, and play a little bit at a time. When you are done practicing, wipe off the areas of your harmonica where your lips have touched. Any soft small cloth will work. Some harmonicas are shipped with cleaning cloths, some are not. Wiping off the instrument is not a necessary step, but it helps keep your harmonica clean. A more important thing to do than wiping off your instrument is to tap the side of the harmonica on which you place your mouth briefly against your hand several times to get rid of the moisture. If you are in a place where you can let your harmonica sit out and air dry for a bit, do so, but don’t worry if you can’t do that. Many harmonica cases are either vented or made with a moisture absorbent material. After you have let your harp air dry, put it back in its case. If you don’t like the harmonica case your instrument came with (some cases don’t open and close very well), buy a Hohner zipper case from Amazon (usually these cost just under $6.00, shipping not included. These are great cases. I have several). All the harmonicas I’ve ever owned fit have fit in these cases, except for one called the Bluesmaster. That one might fit also, but I didn’t have it long enough to put it into a Hohner case. Do not carry your harmonica outside of its case, especially if you are carrying it in your pocket. If you don’t have it in your case, and just carry it around, it can get full of lint, dust and dirt very quickly. Do not store your harmonica outside a case either. This not hygienic, nor is it good for your harmonica. Use your case to carry and store your instrument. Be patient, and have fun. That’s it for the summary! You are go for launch! Happy harping! If you want to know a LOT more about harmonicas, including many models available, watch review videos, learn the history of the harmonica, the parts of the harmonica, how to clean your instrument, and other information, read on. I put a table of contents just a little bit further down past the introduction. Some of the info I’ve covered in the summary I bring up again later in the post. That’s because I wrote most of this post two years before I wrote this summary. Ok.. here’s the rest of the post.. I receive no money for any products I have written about favorably, nor have I been paid by any company to write an unfavorable review about a rival company’s products. I also do not get paid for endorsing any particular online course. This post is a work in progress. I started it on February 20, 2015. Today is February 18, 2017, and I am still making some changes. Why did I become interested in harmonicas? They are small, very portable, supposedly easy to learn, sound great, and don’t irritate my ears as much as my tin whistles. I have a condition called tinnitus.. ringing in the ears.. harmonicas do irritate my condition a little but not as bad as the whistles. When I practice tin whistle (also called pennywhistle), I usually wear ear plugs. I am going to teach myself to play harmonica very well. This is a big reason for getting a harmonica. We can all teach ourselves. Lessons can help, but no lessons are needed to learn. When I become interested in an instrument, I really like to read a lot about the instrument. I also like to try various brands and models in stores. Can’t do that with harmonicas, of course. Good thing that, unlike guitars, basses, keyboards, and drums, many good harmonicas cost less than $40. So, I bought a bunch of harmonicas. (Some of which were over $40). You’ll probably want to try a few different harmonicas eventually, to decide which you like best. Also, it’s fun to try different harmonicas. But, doing so can be pricey, and it can be tough to decide which harmonica I want to pick up and play. I’ve bought 14 different models of harmonicas, made by 7 different companies. In this post, I’ll be sharing with you information about all of them, and make some recommendations regarding which ones I think are best for beginners. More general info than you got at the top of this post. You don’t need to read everything I’ve written to get information that will help you. In this section, I write about which harmonicas are best for beginners to start with, and some suggestions for learning materials. I get into a little more detail about harmonicas.. general info. Parts of the harmonica, maintenance. Detailed reviews (my own experience), a picture of each harmonica, and review videos made by Jake, and other experienced players. Advice on buying a harmonica. My review videos (made in 2015) and some inspiration. Part I: A little more info than at the very top of the post, including detailed descriptions of my top 5 picks and thorough descriptions of them, and a long review/demo video I made. Harmonicas can be purchased for less than $10. Some cost over $100. You might be thinking that, since you are a beginner, it would probably be best to spend as little money as possible. Before you purchase a very cheap harmonica (one that is under $30), I suggest watching this video by Jake, who is my favorite harmonica reviewer. Most of the review videos I’ve included in this post have been done by Jake. If you still want to buy a cheap harmonica, there are two I found on Amazon that are highly rated by many customers (I haven’t played these harmonicas). You can buy a Hohner Old Standby or Fender Blues Deluxe for under $14. There are models made by a Chinese company called Huang, ranging from under $10 to $22. These aren’t as highly rated as the Hohner or Fender harps though. 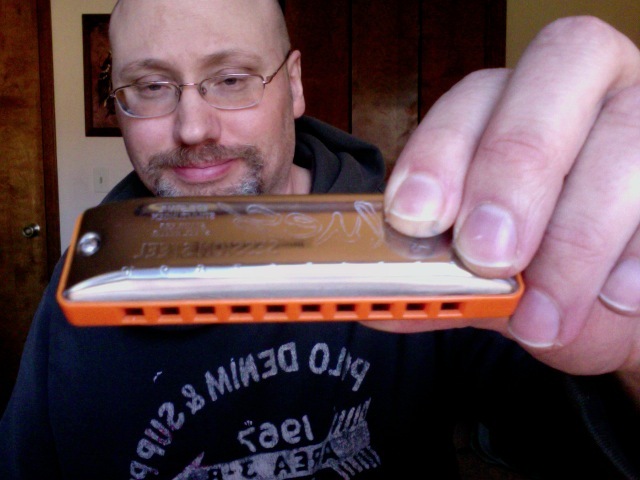 I decided that I’d follow Jake’s advice and not purchase any harmonicas that cost less than $30, except one that I ended up not liking (the Hohner Big River Harp, which you can read about in part 8). One of the reasons I followed Jake’s advice was that, at a blues concert, I heard a guy playing a harmonica. He obviously had skill. However, the tone of the harmonicas sounded bad. While the band was taking a break, I walked over to the stage, and saw little cases with the label “Hohner Blues Bender,” which at the time were selling for around $16. The dude should have spent more for a better sounding harmonica. The other reason I followed Jake’s advice is that I don’t want to start out on a harmonica that is going to be difficult to play because of its poor quality. I have written in great detail about all the harmonicas I’ve tried. You can read about the top 5 in this section, and the others in part 8. I’ve also written about such topics as parts of the harmonica, history of the instrument, where to buy, how to learn, etc. And, I’ve included many review videos made by experienced musicians. I hope you will find these videos helpful. (See Table of Contents above). If you just want to know my recommendations and then get started, spend over $30 on a harmonica, and buy one of those listed below. You can scroll down to read more about them if you want. Make sure to buy a harmonica in the key of C, because almost all educational materials, including books, CD’s, and videos, are for harmonicas in this key. You will likely save money by buying online. Look for merchants that offer free shipping, and compare prices on various sites such as eBay and Amazon. I have found the best deals on those two sites. You might also want to check Rockinronsmusic.com, in case Ron has one you like on sale. Otherwise though, Ron’s prices tend to run higher than on ebay or Amazon. Amazon accepts returns if your harp is defective. Some ebay merchants also do. Not sure about Ron’s. Keep in mind that even if you buy one of these recommended harmonicas, it’s possible you might get a dud, one that wasn’t made properly. Of the 14 I bought, 2 were defective, and one was dirty and dusty. If a harp is defective, just send it back. If it’s dusty and nasty when you play it, list it as defective and send it back. A new harp should be clean, not dusty and etc. inside. My recommendations are based mostly on my experience playing a great many harmonicas, but also based on review videos and written reviews. You might find that you like some models more or less than I do. But hopefully, my list of top 3 harmonicas for beginners will be helpful. Here are the top 5, listed in random order, with the lowest online prices for new harmonicas that I can find as of 1/15/17. Prices include free shipping. Hohner Special 20 – $40 (Made in Germany) . There is one more harmonica I’d like to mention, the Fender Blues DeVille, which is made in China. I’m not putting it in the top 3, because I have ordered several of these, and have found there are obvious quality control issues at the Fender Harmonica factory. Only of these harmonicas was up to my standards. The others had bad paint jobs on the cover plates (the matte finish being too rough), and edges that were too sharp. Also, most of them came with cases which were practically impossible to open. But, the one that turned out well is awesome. I wish they all were that well-made. It has excellent tone and is the most airtight harmonica I’ve played. It’s one of my favorites. The cover plates have a black matte finish. The reeds are phosphor bronze. The comb is plastic. The harp is structured like a traditional harmonica (for example, a Hohner Marine Band), with reed plates that stick out past the comb. There are side vents in the cover plates. The cover plates are much more comfortable to hold than those on some other traditional harps. This harmonica is the heaviest I own. Not an issue, just something I noticed. If you want to take a chance on getting a harmonica that has cover plates which have a somewhat rough feel to them, and edges that are sharp, then you’ll find this one worth buying. $33. If you are searching for this one on a site online, make sure to type in the word “harmonica” after typing in “Fender Blues DeVille.” This is because Fender has for many years been selling an amplifier also called “Blues DeVille.” If you don’t type in the word “harmonica,” you’ll end up with listings for amps. What are the most economically practical harps in the long run? It’s possible to get affordable, replaceable reed plates for some harmonicas. Reeds wear out. It just happens. Replaceable reed plates are great feature. Swapping out the reed plates takes a bit of work, and you’ll need either a flat head or phillips screw driver, or both, but buying the plates is cheaper than buying another harmonica. Lee Oskar Major Diatonic – Lee Oskar replacement reed plates sometimes cost less than $20 per set. That’s better than spending $39 for a new Lee Oscar harp. You’ll need to unscrew and remove not only the cover plates, but the old reed plates as well. Changing the reed plates on the Lee Oskar takes more work than changing them on the Soul’s Voice and related harps. The MAJOR benefit of the Lee Oskar is the availability of the reed plates, which can be found on tons of online sites, and in many music stores. I’ve only found Soul’s Voice reed plates at harpdepot.com. Soul’s Voice (and Bushman Delta Frost and Suzuki Harpmaster, possibly, since they are all practically identical to each other) replacement reed plates for this harmonica come attached to a comb, making re-assembly even easier than with the Lee Oskars. Soul’s Voice reed plates with comb set cost $15. Sometimes Buckeye Music, which sells the harps on harpdepot.com does not offer free shipping. Even with cost of shipping, the reed plates/comb will be cheaper than the replacement reed plates of an almost identical harmonica, the Bushman Delta Frost. DF reedplates/comb cost $30 with free shipping. If you have a Bushman Delta Frost, you can use Soul’s Voice reedplates/combs and save some money. I just put Delta Frost cover plates on a Soul’s Voice reedplates/comb, and the cover plates fit fine. I’m guessing Soul’s Voice reedplates/combs can also be used with the Suzuki Harpmaster. If you’d like to see and hear the Seydel, Lee Oskar, the Fender, Soul’s Voice, and one just like it, the Suzuki Harpmaster, as well as the Suzuki Manji, and hear me talk about them, just below is a rather long video.. 43 minutes. I’d already sold my Special 20’s by the time I made the video, due to my odd reaction to the plastic Hohner combs. I go over some info that I’ve written in the post a little further down. I only talk about the harps in this video, and the cases they come with. I don’t mention learning materials or anything else I’ve written about in this post. There’s a term I use called “airtight.” This refers to how much air (breath) needs to be used to play notes and chords. The more airtight, the more air is used to sound a note or chord. Harmonicas that are not airtight are called “leaky,” because some air leaks through without sounding a note. Also, the less airtight, the harder it is to play a note. Some notes tend to be trickier than others, such as the draw on the 2 and 3 holes. However, these will be easier to play on airtight harps than those less so. Below the video, I’ve included detailed descriptions of my top 5. I have three other demo videos I made, which I have placed near the bottom of this post. I made those awhile before this one. Some of the harps in those videos are the same, but there are a couple, the Delta Frost and the Special 20, that are not in this video. Before I made this video, I’d sold both Special 20 harmonicas I’d owned because I seem to be somewhat allergic to Hohner harmonicas with plastic combs. I seriously doubt anybody else has this problem! I had the same reaction to one of my tin whistles that had a plastic mouthpiece. The others with plastic mouthpieces, I can play just fine. Odd. The instrument behind me is a three string cigar box guitar, also referred to as a CBG. I bought it from an ebay vendor called Weeklyhouse, for under $100, including shipping. I don’t know how to play the instrument well yet, but it is quite fun, and sounds great. The CBG is resting on a gig bag which contains my electric guitar..which I can’t play worth a damn, but oh well. Pick any of the top 5 list, and you should be happy enough. Some of the harmonicas have reeds made of brass, and some of phosphor bronze (which I sometimes refer to as PB). PB reeds are supposed to last longer and be more durable. However, the only harmonica I’ve owned with reeds that failed on me after a few months was a harmonica called the Bushman Delta Frost, which was equipped with PB reeds. Maybe that harp was defective, I don’t know. Some harmonicas come with cases and some do not. Some cases can be opened easily, and some not. I keep a couple harmonicas in their cases, but mostly, I use these Hohner zipper cases, which can be found on Amazon for under $6. They are made at least partially out of stiff but bendable neoprene and fit very well in my pocket. All the harmonicas I’ve played have fit in this case. The case has a belt loop, but I don’t bother with that. Here are detailed descriptions of my 5 recommendations. If you’ve watched the video above, you won’t need to read the descriptions. I’m guessing some people probably prefer to watch the video, and some prefer to read. Hohner Special 20 – $40. 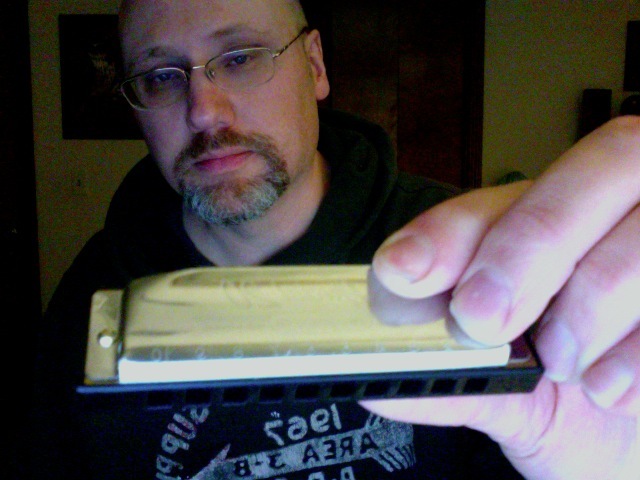 This is the most comfortable harmonica to hold and play, except that the edges of the comb are at 90 degree angles. I prefer harmonicas with combs that have rounded edges. Even so, this one feels good. Very good tone, fairly bright sound. Has a plastic comb with 90 degree angle corners. Reeds are made of brass. Good plastic case included. Hohner replacement reed plates are sometimes available, but can cost up to $50, which is more than the price of a Special 20. Seydel Blues Session Standard – $35 I tend to play this one the most these days. Make sure you don’t buy one in “paddy richter tuning.” Check the item listing to make sure. If it says “standard tuning” or “richter tuning,” you’re ok). Has a plastic comb with rounded corners. This model is wider, longer and thicker than all the others, and, although of rather good quality, you might find it to be a bit more uncomfortable to play than other harmonicas, until you get used to it. However, if you’ve never played any harmonicas before, playing this one will not seem strange to you. Sometimes I don’t like playing this one, because of its size. I suppose if it were the only type of harp I played, I’d be used to it. You might like it fine. The tone is not super loud, but full. Sounds good. No sharp edges. Has brass reeds. Most airtight harmonica I own, besides the Fender and the Lee Oskar. Apart from its bulky size, this is an excellent choice and a very good value, as long as you don’t plan on putting this harmonica into a rack and using your hands to play guitar. This one won’t fit in a rack. If you want a version of this harmonica that has more durable reeds, you can purchase a Seydel Blues Session Steel for $60 or more. Those are pro-grade harps. The only reed plates that might fit the Standard are the replacement plates made for the Steel model. Those reed plates cost $50, plus shipping, and are only available from the Seydel website. All Seydel Blues Session models come with a worse than useless extremely thin leather pouch/sleeve thing that the harmonicas won’t even fit into very well. I bought a Hohner zipper case for my Blues Session Standard. The Seydels come with a great cleaning cloth. It’s quite thin, but is nice and smooth. Very useful. Lee Oskar Major Diatonic – $38. I like this one a lot, even more than the Special 2o, except that I have bad tinnitus (ringing in the ears). This harmonica is plenty loud, and agitates my ears the most. Which is really too bad. If you don’t have tinnitus, then no worries. All the harmonicas I’m writing in this post are major diatonic harmonicas. The reason I am including that phrase in the title is that Lee Oskar harmonicas are also sold in natural minor, harmonic minor, and a harmonica called a Melody Maker that also has different tuning than the major. If you want to learn, start out with a standard-tuned harmonica.. one that is tuned in a major scale. The Lee Oskar has a black plastic comb, brass reeds that are replaceable, has bright, loud, happy tone, and comes with a well-made plastic case. Unfortunately, the case has a plastic odor to it, and even gives the harmonica a bit of a plastic taste when I play it. I keep my LO harp in a Hohner zipper case. This one is just slightly more uncomfortable to play than all but the Seydel. It is a tiny bit uncomfortable at the edges, because of its shape, but I’ve mostly gotten used to this (not a deal breaker, but can be a little bothersome until you get used to the harmonica). Suzuki Harpmaster – $35. Comfortable. The breathing end of the cover plates are a bit more narrow, or should I say have a bit more of a slope which makes the harmonica feel a bit thinner in the mouth than on most harmonicas I’ve tried. This feels pretty good to me. It’s a bit easier on the lips sliding this harmonica back and forth quickly, than with some others, and that is good. Tone is bright and intense. Phosphor bronze reeds. No replacement reed plates available from Suzuki. Soul’s Voice reed plates/comb will probably work, but I don’t know this for sure. The case this one came in did not open well, so I bought a Hohner zipper case. Buckeye Music Soul’s Voice – practically identical to the Harpmaster. Has phosphor bronze reeds. The Harpmaster’s cover plates are a bit more open in the back than those on the Soul’s Voice, and I think the Harpmaster sounds a little better. Both of these are good though. The cover plates are a tiny bit less narrow.. a tiny bit less narrow feel than those of the Harpmaster. I like the Harpmaster better, but you might feel otherwise. Sometimes Buckeye Music sells this harmonica on ebay. If you buy on ebay, you’ll have the choice of two different colors of cover plates. If you buy from Buckeye’s site, harpdepot.com, you will have the option to choose from three different colors of cover plates for your Soul’s Voice. This harmonica was shipped in a very nice draw-string bag with a Soul’s Voice logo, inside an unmarked harmonica case. Strange. The case opened fine. Sometimes harpdepot.com offers free shipping, sometimes not. If not, you’ll pay a dollar or two less if you buy from Buckeye on ebay. Which ones do I play the most? Kind of depends on my mood. If my tinnitus is more severe than on other days, I’m more likely to play the Seydel Blues Session Standard, since it has the least intense tone. Although I like the Lee Oskar, as I mentioned, it tends to be the roughest on my tinnitus condition, so I don’t play it as much as I like. Usually, the two I play the most are the one Fender Blues DeVille out of the four I’d purchased which is actually made well. The other I play the most is the Suzuki Harpmaster. If I weren’t allergic to the comb on the Special 20, I’d likely be playing that one a lot too. It is very comfortable to hold and play, and has nice tone. I have not included in my recommendations one of the most popular harmonicas on the market: Hohner Marine Band (there are three different models). I feel these are less comfortable to play for the most part than the models I’ve mentioned, with the exception of the Fender Blues DeVille, due to that harp’s sharp edges. However, I still think the BD is more comfortable overall than the Marine Bands. The cheapest Marine Band model, called the Marine Band Classic, is $40. It has an untreated wood comb, which is likely to warp over time. Also, the Classic is held together with nails, not screws, making it very difficult to take apart and clean. The Marine Band Deluxe, $60 has a wood comb treated with some varnish so that the comb won’t warp. The wood combs can be a bit rough on the tongue, when using a tongue-blocking technique to play single notes. The Marine Band Crossover, $80, has a bamboo comb that won’t warp. The bamboo comb is carved well, and easy on the tongue when blocking notes. All of these models have brass reeds. The two more expensive models are held together with screws, and are lots easier to take apart and clean than the Classic. I’ve found the Marine Band models to be uncomfortable to hold due to their small size and curl of the cover plate. I’ve owned two Crossovers, and just wasn’t very impressed with them. Especially considering the price. $80?! I paid $54 for mine, two years ago, but prices have gone up. This guy has other helpful tutorials. His youtube name is 12gagedan. For all harmonicas, there is a break in period to somehow condition the metal reeds, and make the harp sound better. Used to be, people would soak their harps in glasses of beer or whisky. This helped in the short term, to make the wood combs swell some and improve tone. (This technique does not work with plastic comb harps). However, doing this messes up the wood too much, possibly screws up the reeds a bit as well, and shortens the lifespan of the harps. A better way to break in the reeds is to play each note gently.. all the notes, up and down the harmonica, slide it back and forth, and to keep doing this for.. I don’t know how long really, I don’t know how I’ll be able to tell if a harmonica is broken in or not. Even though there is an astonishing amount of instructional videos, I’ve found almost none that are about how to break in a harmonica. I found one video that seems helpful. Don’t worry about trying to do the bending the note technique that the guy does. Bending is something to work on later. Alright then, what about learning how to play? Learning: TONS of free tutorial videos on youtube. Watch many, and find which teacher or teachers you like best. Also, you’ll likely be able to find harmonica books that come with CD’s at your local library. I’m thinking, it’s best to try and learn for free.. youtube videos and library books. I paid $67 last year for access to an online course that focuses less on songs and more on building a foundation of breathing techniques. I think this course is worth the money. The teacher is named Hal Walker. He talks like he’s really really high on some very potent grass, but I think that’s just how he talks. Hal has a lovely assistant named Lacy, who I have found to be a major distraction. Besides being incredibly attractive, she’s wearing a very tight shirt. Lacy doesn’t need to be in the videos. I’d rather just learn harmonica. Hal teaches a method focusing on breathing techniques and using hand motions. A rather odd way of learning I’m still not sure about. Besides the videos, you’ll get a useful PDF. Once you’ve paid, you can access the course on any device, as far as I know. After you’ve paid, look at the URL for the courses. You can type it into your browser. That’s what I’ve done to watch the videos on more than one computer. Here is the link to Hal’s course.. and no, it is not the link to the actual lessons. I’m not going to rip off the guy. If you want to learn from Hal, you’ll have to pay the fee like I did. Hal offers a 1 year money back guarantee. If you find Hal too annoying, or keep staring at Lacy like I do, there’s a good paid beginner course that focuses on blues. It’s on Udemy.com, and is taught by an amusing British guy named Ben Hewlett. I purchased the course late last year when it was on sale for $15. I don’t know how much it will be at the time you are reading this post. Udemey prices keep changing, and sometimes the prices are cheaper if you access the site via tablet or phone instead of a computer, weird. Unfortunately, if you purchase the course using phone or tablet, and make the purchase through an intermediary like iTunes, you won’t be eligible for Udemy’s guarantee, unless the site has changed policies. The prices of Udemy courses continue to fluctuate wildly. If you can get the course for $60 or less, I’d say it’s worth it. Otherwise, skip it until it is again on sale. The full Udemy price can be as high as $200. I’ve checked out some other online courses, and have found them to be far too expensive for me to bother with. You might not even feel the need to purchase a paid online course, but if you do, you’ll probably like one or both that I’ve mentioned. After you are done practicing.. Tap the comb side of the harmonica against your palm. Don’t slam it hard, but give it several good taps to get rid of the moisture. If a cleaning cloth came with your harmonica, wipe off the cover plates. You might also want to let your harmonica sit outside of its case for a little while to let it air dry. After that, put it back in its case. Do NOT carry your harmonica in your pocket or backpack unless it is in its case. If you carry the instrument around by itself with no case or pouch, not only do you risk it getting damaged, but lots of junk like lint or who knows what from your pocket or backpack could end up in the harmonica. You don’t want that! Ok then, feel like reading a LOT more about harmonicas? Great! Best thing for you to do first would be to scroll down and look for what is written in bold print. See what topics I cover, which harps I’ve played and reviewed, and decide what you’d most like to read about. Lastly, keep in mind, I wrote most of the content before June 30/2016. Part II: A few more details.. I am not an advanced player. I am writing from the perspective of a beginner who has done a lot of harmonica shopping, and have tried many models. I’ve written this to give you a guide to help you learn about this instrument, and also learn about the various models available. 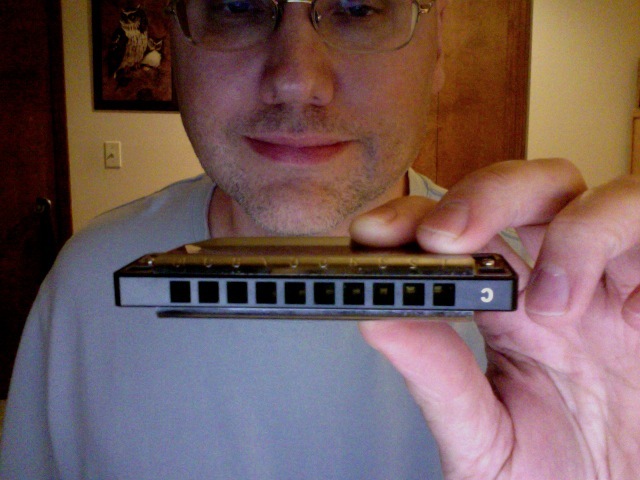 The type of harmonica I am going to be writing about is the standard 10 hole diatonic major scale harmonica. I don’t fully understand the word “diatonic,” since I don’t know much about music theory, so let’s not worry about that. I do want to point out that there is another type of harmonica called Chromatic. These are much larger than the harmonicas most people are familiar with. Chromatic harmonicas are much more expensive and harder to play, but have greater access to notes. Just keep in mind that this post is about the 10 hole diatonic harmonica. There are harmonicas that are not tuned in major scales. Some are in minor scales, some are tuned for certain styles of music, such as country or Celtic. I won’t be writing about those harmonicas. Beginners should stick to major scale harmonicas. Harmonicas come in keys. They are named for the lowest note on the harmonica. For example, a Hohner Special 20 the key of C starts with the lowest note on the harmonica being a C.
Although harmonicas are only labeled in one key, it is possible to play them in three keys. There are 12 keys total. A beginner will likely want to start with a harmonica in the key of C, since most educational materials and tutorials feature harmonicas in the key of C. More on harmonica keys later in this post. Notes are played played by exhaling (these are called “blow” notes) and inhaling (these are called “draw” notes). On holes 1 through 6, with 1 being the lowest note, the blow notes are lower in pitch than the draw notes. But, on holes 7-10, the blow notes are higher than the draw notes. Makes playing harmonica a bit of a challenge. If you are practicing your harmonica and feel a bit light-headed, don’t worry, you are just hyperventilating a bit. Stop for a little while, and pick it up again in a few hours, or the next day. “In many parts of the American South, the harmonica was popularly called mouth harp, French harp or just plain harp, a term now used by blues harmonica players the world over. The term is partly inspired by the Aeolian harp, a stringed instrument that is left outdoors to be played by the wind, whose name was taken from Aeolus, the god of the wind. Early names for the harmonica were Aeolina, Aeolian and Mund-Aeoline, which stressed this link with the Aeolian harp. As the earliest harmonica-like instruments were little more than a few reeds attached to a reedplate that was held to the players lips, the resemblance to a harp was quite pronounced. According to folklorist Michael Licht, “French” was often used in the US South to mean “European” and thus to imply sophistication, so although harmonicas were mostly made in Germany and Austria, they wound up being called French Harps (compare with the Irish Gaelic term below). This term was most popular in the South, with the term mouth harp being preferred in the “Midland” area (Indiana, Ohio and Illinois) and mouth organ in the Northern tier and Canada, with French speaking Canada often using the term musique à bouche. “Just see my book and a nice new hat, And mittens, and boots, and a French harp, too! So much I did wish he would bring me that! 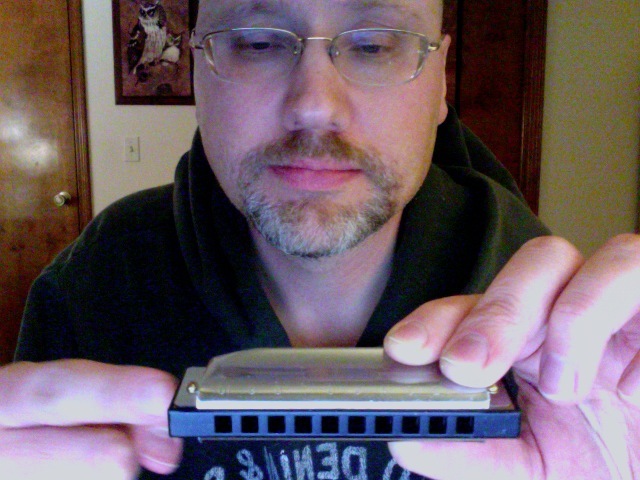 (Blogger’s note: I located this info when I googled “why is a harmonica called a harp.” I found the answer at http://www.patmissin.com/ffaq/q3.html). Thanks to Pat Missin for posting the information). According to Wikipedia, in the article http://en.wikipedia.org/wiki/Harmonica#History, invention of the harmonica is generally credited to a German named Christian Friedrich Ludwig Buschmann, The instruments were made in various cities by various men in Germany and Austria. Neither Buschmann or Richter established harmonica workshops though. However, there is an American brand called Bushman, named after Chrisitan Busschmann, I’m guessing. The first person to mass produce harmonicas was a clock maker named Matthias Hohner. Hohner harmonicas are by far the most popular and widely used today. The Hohner company is based in Trossingen, Germany. The C.A. Seydel Sohne company (C.A. Seydel and Sons) pre-dates the formation of the Hohner company, but Seydel is a much smaller company. Klingenthal, Germany is where Seydel is. A big company that has a lot of quality models (and some that are not so good) is Suzuki. They have some in various price ranges, from cheap to ridiculously expensive. I don’t know what city in Japan Suzuki is based in. I’m kinda old school, and, for the most part, like to buy harmonicas that have been manufactured in Germany. With one exception.. the Fender Blues DeVille.. made in China. What about China? The cheapest models made by Hohner, such as Pocket Pal, Old Standby, Blues Band (not to be confused with Hohner’s Blues Harp model, which is better, and German-made), Blues Bender, Great Little Harp, Piedmont, and Hot Metal, are made in China, and are generally considered to be of rather poor quality. Suzuki’s cheapest models might also be made in China. The Fender harmonicas are made in that country, as are brands such as Huang and Swan. Also, any harmonica that comes with a kit, like a book and CD, is probably not going to be a good one, and probably made in China. My suggestion is to not buy a harmonica made in China, except perhaps for the Fender Blues DeVille, which is a semi-good instrument. I go into detail about that one later in this post. If you’d really like to spend a fortune on harmonicas, you can find people online who customize harmonicas. Some of them have their own brands. I won’t get into these though, since this is a post for beginners, not pros. Even many pro harmonica players don’t bother with these heavily customized harmonicas, which can sell for $150 or more. Part V: Harmonicas come in many keys! Each harmonica has a main key, and is labeled with that key. But, each one can be played in three keys. The first key starts with the hole labeled with the number 1 on the far left, if you are holding your harmonica right side up. This lowest note will be played with an exhaled breath. This is called first position. Playing in this key is called “straight harp.” If you are playing a C harp using the first position.. lowest note, blowing into harp, then you are playing in the key of C.
Second position starts with drawing in (inhaling) on the second hole. This is called playing in “cross harp.” If you have a C harmonica, and are playing in cross harp, then you are playing in the key of F.
If your lowest note is played on the first hole, but starting with a draw note, then you are playing in third position. This is called “slant harp” or “double cross harp.” If you have a C harmonica and are playing in third position, you are playing in the key of Bb (B flat). Why does the note you start with matter? Each key has a scale of notes that go with the key. A certain order of notes. If you start with the lowest note and play through a scale, that scale will be different than if you start your scale on a different note. Do most harp players have each note memorized on each harp? Some don’t, some do. You won’t need to memorize each note on each harmonica, but.. If you intend to jam with other musicians, you’ll need to remember which three keys your harmonica will play in. You’ll need to play in the same key the rest of the band is using. All musicians need to play in the same key. You’ll need to know the three keys you can play in for each harp you own. Some harmonicas come with display boxes, or are packed with a little paper guide that shows a chart with the different keys on it. I made sure to cut out the charts on the Hohner boxes my harps came in, and save the charts, before recycling the box. You can also find charts online. There are 12 main keys. Depending on the band you are jamming with, you might not need all 12 harmonicas. You might need 8, or just three, depending on what type of music you are playing, and what songs you are performing. If you are just starting out, don’t worry about buying a harmonica in each of the 12 keys. As I mentioned earlier, if you are a beginner, the most you will likely want will be three harmonicas, in the keys of C, A, and G, and will likely be starting out on a C harmonica. Part VI: Parts of a harmonica and Maintenance. Cover plates.. stainless steel, usually. The parts you hold onto. On the top cover plate of most harmonicas, you will see the numbers 1 through 10. One number per hole. Two notes per hole: a blow note.. exhale.. and a draw note.. inhale. 1 has the lowest notes and 10 has the highest. Nice thing about having numbers on the harmonica is many books use the number system. This is great because you don’t need to learn or know any music theory to get started. But, thing is, when you are playing the harmonica, you can’t see the numbers. Not all harmonicas have numbers on them, and this is alright with me, since I can’t see them when I’m playing. Most cover plates are made of stainless steel (as far as I know), and are fairly slick. Once in awhile a harmonica gets made with a matte finish on the steel that is less smooth. I don’t know why. I have one model that has a matte finish, and I had to take some time to get used to it. I’m mostly used to it now. Doesn’t noticeably impact playing, but feels a bit odd. To increase slickness and ease of playing, it is a good idea to not wear chapstick, and to lick one’s lips before playing. When done, besides tapping out the harmonica against your palm, use a cloth (sometimes a soft cloth is included with a harmonica) to wipe off excess liquid. Between the cover plates and the reed plates, there sometimes can be found a thin piece of metal. I don’t know what that part is called. Notice how in the first picture, the reeds look recessed, and in the second picture, the reeds are exposed. Also, in the first picture, you see the front of the comb. In the second picture, you see the back, where the logo usually is, except on the Soul’s Voice comb, there’s no logo..odd. If you take apart your harmonica, make sure the top and bottom reed plates look like they do in the pictures. Rivets on the bottom reed plate are toward the back of the comb. There are 2 tiny metal reeds for each hole. The reeds for the notes you blow in are on top, and the reeds for the notes you inhale are on the bottom. Most reeds are made of brass. Some harps have phosphor bronze or steel reeds. It is normal for reeds to wear out, especially if people play their harmonicas very hard, like during a big concert. Once the reeds wear out, people usually throw out their instruments. However, some folks have figured out how to work on their harmonicas. There are tool kits available, and instructional videos online if you want to get into that. According to the main guy on a website called bluesharmonica.com, beginners, because of their inexperience, will likely burn out the reeds quicker than pros, unless the pros are intentionally playing really hard. I haven’t practiced enough to know if this is true. I suppose it depends on the individual student. I’ve read reviews and youtube comments from many people saying their harmonicas have lasted for years.. by that they mean their reeds have lasted for years. (As seen in pictures above. In the photo below, you can see the edge of the top reed plate). When the cover plates are attached, most of the reed plates are not visible, because the cover plates are screwed on top of them. You can see the sides of the reed plates in the picture. Reed plates are often, if not always, a different color metal than the cover plates. The reed plate on the top of the harp in this picture sticks out just a bit further than the cover plate on top. The cover plate is bolted to the reed plate. The reeds are riveted to the reed plates. They sit on the top and bottom of the comb. The cover plates are attached a thin piece of metal, and the reed plates are below that. There are little spaces in the reed plates for the reeds. Those spaces and reeds are inside the harmonica, and not visible unless you take the instrument apart. There is empty space around the reeds for the air to escape and the reeds to vibrate. The cover plates are attached to the reed plates. Sometimes the thin metal right over the reed plates has sharp edges on the sides. Some are rounded off a bit. It depends on the harp. Comb.. made of wood, resin with wood fibers (whatever that is, found in the Suzuki Manji harmonica), plastic, or in the case of the Hohner Crossover, bamboo. The comb, if you take the harmonica apart, looks like something you could comb your hair with. Combs are easily visible. This is the middle part of the harmonica. It’s the part with the air holes. Some combs stick out further than the reed plates, on other harmonicas, the reed plates stick out further. The combs that stick out further than the reed plates are called “recessed.” I don’t know what the other combs are called. I’ll just call them standard combs. Different kinds of combs equals different sound. Next, the Hohner Blues Harp with standard wood comb. Hohner Big River Harp with standard plastic comb. Fender Blues DeVille with standard plastic comb. Hohner Special 20 with recessed plastic comb, which sticks out further than the reed plates. Seydel Blues Session Steel with recessed plastic comb that protrudes farther than reed plates. The reed plates on this model are not visible, because they are completely covered by the cover plates. I will write in detail about these harps later in this post. Some harmonicas with plastic combs, such as the Blues Session Steel and Special 20, have combs that are longer than the reed plates, as you may have noticed in the photos. Some manufactures sell replacement reed plates, so harmonicas won’t have to be tossed. Reed plates aren’t cheap.. usually $25 or so, but cheaper than buying another harmonica. Reed plates are sold for some models, but not others. You might have noticed in these pictures that the sound holes on some harmonicas are large, and some are small. Small sound holes tend to require less air. But, it is generally easier to play single notes on harps with larger sound holes. It’s a trade-off. And there are exceptions. The Hohner Crossover I have.. small sound holes, but not hard to play individual notes. This harmonica is on the expensive side though. Over $50. But, it is a Marine Band harmonica. Maybe all Marine Band harmonicas have the advantage of having small sound holes that are easy to play single notes through. Hmm.. 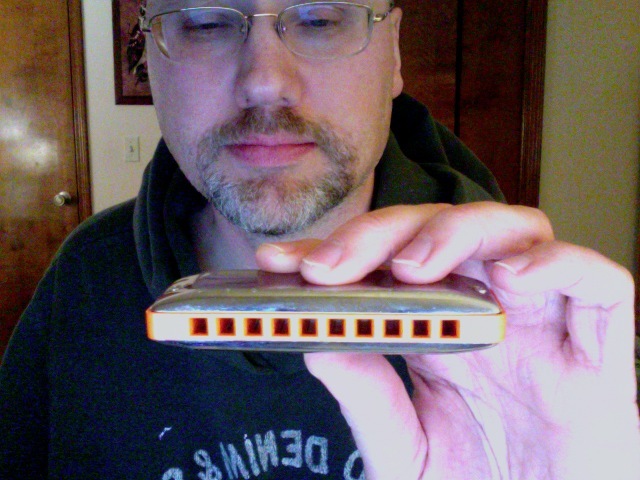 Some harmonicas have vents (slats, holes), on the side. Some do not. Harmonicas, such as Hohner Marine Band and Fender Blues DeVille, tend to be louder than harmonicas that do not have side vents. The vents allow more sound to come out of the harp. The tone is also affected by the side vents. Some harmonicas without side vents tend to have a darker tone than those that do. Some harmonicas without side vents are the Special 20 and Blues Harp by Hohner, and the Blues Session Steel by Seydel. It is important that a harmonica be airtight. What this means is no air is coming through where it shouldn’t and all the air you are putting in activates the reeds. Some harps are not sealed very well, and air leaks out, without creating sound. This air tight thing is a bit hard to explain. You’ll likely know you don’t have an airtight harp if you play it and no sound comes out, or only very little. 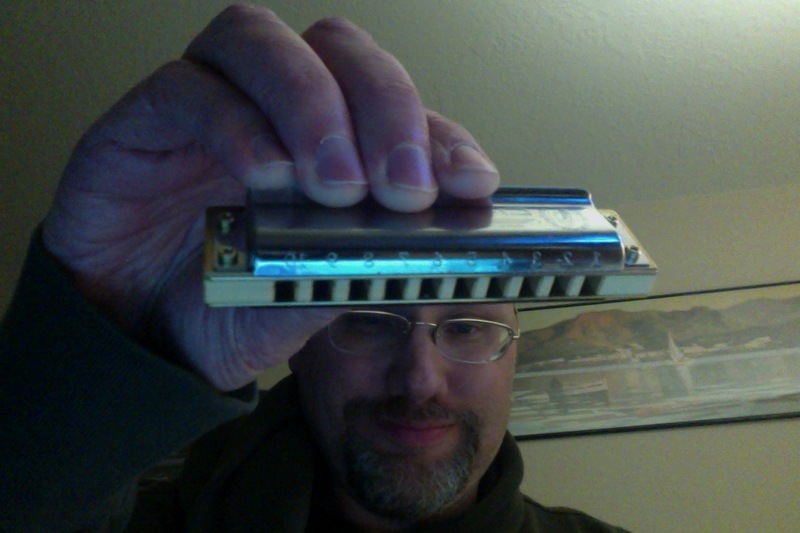 I have this problem with the Hohner Big River Harp and Hohner Blues harp. It’s quite tough to get notes out of these. I have problems with at least two sound holes on both harps. All the others are much better than the two I just mentioned. When you have finished playing, tap your harmonica against your palm or leg several times to knock out the spit and whatever else gets in there. Then, let the harp sit out a bit to air dry, and finally put it in its plastic case. Most of these cases are made of plastic, and have little vents. The Crossover comes in a zippered case that is not vented, but the cloth it is made of is absorbent. The Seydel model I’ll be writing about comes in a little leather pouch instead of a case. The pouch is not vented, so if you get a Seydel, let it air dry for longer, after you’ve tapped it on your palm. It is a good idea to have a soft cloth to wipe the part of harmonica you put your mouth on after you are done playing. Give it a good rub down. Some harmonicas will be shipped with a little cloth. If not, you can get likely find such little cloths on ebay or various harmonica vendor sites online. Sometimes a deeper cleaning is needed. Most harmonicas these days are screwed together, and not terribly hard to take apart for cleaning. However, the classic Hohner Marine band might still be nailed together on the sides. These harps are much harder to take apart, and putting them back together exactly the way they are takes a lot of skill. There is some debate about how often harps should be dissassembleed and cleaned. It depends greatly on how much you play, and how careful you are. It is best not to play if you have any food particles in your mouth. Another important thing is to tap out the harmonica against your palm or leg after use to bang out the moister. There are many many videos on youtube showing how to take apart your harmonica and clean it. Different people have different methods. One or more tools will be required. You might be able to get by with just a small flat head and a small phillips head screw driver, and a toothbrush with soft bristles. I bought a Lee Oskar tool kit, but realized I don’t need most of what is included. Most of that stuff is for people who want to work more extensively on their harps, not just clean them. I’ve watched several videos on harmonica cleaning, and this one seems to be the best. However, you might want to check out more videos and see which ones you like. Some videos have a special device for cleaning multiple harmonicas at once.. a technology similar to what dentists use. I’m not planning on purchasing one of those, so I won’t be including a video of device in this post. For me, this video is more practical. Some harmonicas are more comfortable than others. Some have sharp edges, such as the original Marine Band, the Hohner Blues Harp, and the Fender Blues DeVille. Others will have had the edges rounded off at the factory, such as the Hohner Crossover and Marine Band Deluxe. The harps that have plastic combs that stick out further than the reed plates, don’t have sharp edges metal edges on the sides, because the plastic part sticks out further than the metal, potentially sharp reed plates. Some are made to be fairly comfortable, like the Hohner Special 20, and the upgrade of the Special 20, the Hohner Rocket. Some are made to be ergonomic and have no edges. Their design is more rounded. Some models with this shape are the Hohner Golden Melody, various Suzuki models like the Bluesmaster, and the Seydel Blues Session Standard and Blues Standard Session Steel. These harps are quite wide though, and are a bit challenging to play because of their width. Check the pictures I posted above. To play wider harps, you’ll have to have your mouth open wider. Switching from a Hohner or Fender to a Seydel or a Suzuki will feel somewhat strange. If you have a mustache, or beard and mustache, some harmonicas will snag your whiskers. These are generally the ones with the sharper edges. What’s most comfortable for you? Hopefully what I’ve written will give you some idea before you buy a harmonica. But, beyond that, you’ll have to try them out. There’s a technique of playing called tongue blocking.. using one’s tongue to block some of the holes so only one note gets played. The tongue is pressed against the comb. Some models have combs that feel better on the tongue than others. This is a matter of personal preference. There is one harmonica I’ve tried that does not have a plastic comb, but tongue blocking on it still feels decent. That is the Hohner Marine Band Crossover. That’s the first harmonica I bought, and the first one I am going to write about. Part VII: Playing the harmonica. Since I’m a beginner myself (a beginner who has done research before buying his harmonicas), I don’t have a ton of advice, except to check out materials at the library. DVD’s and books that come with CD’s are best. Also, there’s the million and one harmonica tutorials on youtube. And there’s bluesharmonica.com, which I’m still not sure about. A note about playing harmonica.. especially blues. There is a technique called “bending.” This is the ability to drop the pitch of a note using one’s breath and mouth position. I think it is only possible to bend notes that are drawn, but I am not sure. I have not learned how to use this technique, but I’m going to work on it. It’s possible to do bending on any key of harmonica. One good thing to do right before you play is lick your lips. Just enough to make playing smoother so your lips slide easily on the harmonica. One thing to avoid is wearing chap stick before playing. Another important thing.. make sure there are no food particles in your mouth before you play. You don’t want gunk in your harp. Playing chords.. Easy to do. Make a sort of oval shape with your lips on the harmonica. Blow or draw. Try to play three holes at once. Not a problem. You can play a lot of tunes just using chords. Any basic book will likely start you off learning tunes that have only chords and no single notes. Playing single notes.. there are two techniques. One is lip pursing.. squeezing your lips so that only a narrow channel of air escapes, and directed that air into one hole at a time. The other way to play single notes is a bit less comfortable, but from what I’ve read and experienced, more versatile. This technique is called tongue blocking. You put your tongue against the comb of the harmonica, block at least two holes, and let the air escape out past the left or right side of your tongue into one of the holes. If you are going to do tongue blocking, find a harmonica that has a comb that feels comfortable to have your tongue pressed against it. 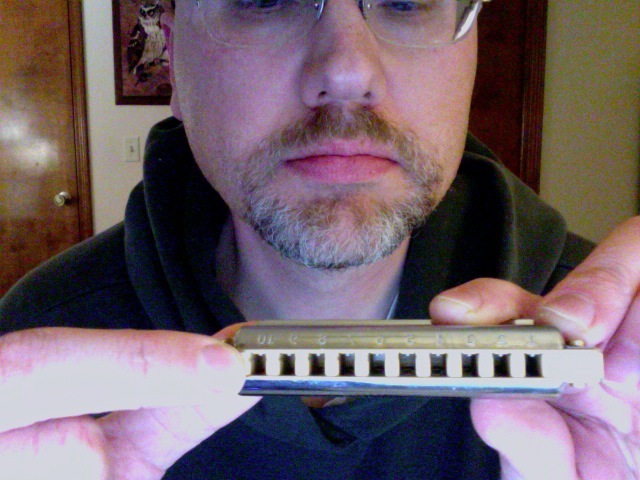 Out of all the harmonicas I’ve tried, the only one that was especially uncomfortable to play while tongue blocking was the Hohner Blues Harp. The holes aren’t carved well enough on that one to be comfortable. Part VIII Harmonicas I’ve played.. detailed reviews, review videos. Here are descriptions and reviews of the harmonicas I have purchased, listed in the order in which I purchased them, with a few exceptions. The Seydel Blues Session Standard is one of my most recent acquisitions, but I decided to list it after the Blues Session Steel instead of putting it at the end of the list. Since the Soul’s Voice and Harpmaster are almost identical to the Bushman Delta Frost, I’m putting those together, even though I purchased the other two almost two years after I bought the Bushman. I’ve tried harmonicas by all the main brands. Hohner Marine Band Crossover, Fender Blues DeVille, Suzuki Bluesmaster, Hohner Special 20, Hohner Big River Harp, Hohner Blues Harp, Seydel Blues Session Steel and Blues Session Steel 2014 Summer Edition, Seydel Blues Session Standard, Bushman Delta Frost, Buckeye Music Soul’s Voice, Suzuki Harpmaster, Lee Oskar Major Diatonic, Suzuki Manji (all the harmonicas I’ve purchased are major diatonics). I’ve written descriptions of all the harps except for the top 5, which I described earlier in this post. I’ll still include a review video though, usually done by Jake, but not always, if I can find one. I haven’t found a good review video for either the Bushman Delta Frost or Soul’s Voice. The only Soul’s Voice video I found was a review of the older Soul’s Voice model that was still made by Bushman at the time. Something to keep in mind.. I am an overly sensitive person, so some things that bother me about various harmonicas may or may not bother you. (Edit 1/21/17.. the prices for this one have gotten a LOT higher, since I bought mine less than 2 years ago. These are now selling for just under $80. That’s too much to spend on a harmonica, if you are a beginner, in my opinion). The original Hohner Marine Band harmonica, also referred to as the Marine Band 1896 (the year it was invented and put into production), is still in use today by a huge number of musicians. Some of these folks have not been pleased with certain flaws of this particular harp, such as sharp edges, pearwood combs that swell when moist and make playing uncomfortable, and being nailed together instead of screwed together.. therefore hard to take apart. These folks have gotten into customizing and improving the original Marine Band. Hohner eventually decided to create two Marine Band models with modifications that the customizers have been making for years. These models are the Hohner Marine Band Deluxe and the Hohner Marine Band Crossover. The Crossover has that name because it is supposedly good for not just blues playing, but crossing over into other genres such as country and folk. The Marine Band Deluxe is still mainly used for blues, I’m guessing. This harmonica is called “crossover” because it is supposed to be ideal for all styles. Most harmonicas are good enough for all styles I’m guessing, even those with the word “blues” in their names, like the Blues Session Steel (I’ve heard some beautiful Celtic music played on one of those) or Bluesmaster. I don’t particularly like the name “crossover,” but whatever. The first harmonica I bought was a rather expensive, very high quality Crossover, because it is good for all styles of playing, not just meant for blues or country or folk (some harmonica models are meant for a specific genre). The Crossover tends to cost around $60 or more, which is quite expensive compared to many other harmonicas. I paid $54.. got a deal on ebay. I have seen a considerable variety of prices for this harmonica. Generally, the lowest price I find is $59.99 and free shipping. Some stores and online merchants charge over $78 for the exact same instrument. Whether you are looking for a Hohner Crossover or any other model, shop around. I don’t recommend spending this much for a harmonica if you are a beginner, unless you really want to. I read about many harmonicas before choosing this one. I think it is worth the money, but spending this much is not necessary for a good harp to start out on. In this post, I will be mentioning certain online music merchants. I get no kick-back from these sellers, I’m just including the information to give you some options. I bought the Crossover on ebay from a seller called grassrootsmusic.com. If you click on that link, it will not take you to the ebay page, but directly to their site. Sometimes they won’t have any harmonicas for sale on their main page. I’ve only bought from them on ebay.. the Crossover and a Special 20. More info on the Crossover: Made in Germany. Greatly improved Marine Band model with a laminated bamboo comb (great resource.. incredibly sustainable compared to other forms of wood harvested to make instruments). The comb is better carved than wood combs, making playing more comfortable (although not as comfortable while tongue blocking as harmonicas with plastic combs). Easy to disassemble. Same brass reeds as on cheaper Hohners, but the reed plates and reed placement are somehow better, thus making the reeds last longer, according to the Hohner website. Looks beautiful. Very light. A true professional instrument. There is a similar model, one I already mentioned, called the Marine Band Deluxe, which is like a regular classic Marine band harmonica, but with the same improvements the Crossover has, such as rounded edges, a wood comb that is triple sealed so it won’t shrink or otherwise get messed up over time, and the same improved reed plates/position and ease of maintenance as the Crossover. The difference between the MBD and Crossover is the Crossover has the bamboo comb, and the MBD has a wood comb. Apart from having different combs, which changes the sound somewhat, they are pretty much identical. I decided to go with the Crossover. I like the look of the comb, and think it is great that bamboo is such a sustainable resource. This harmonica is loud, small, and easy to play, if you get one that is airtight. The downside.. the tone seems piercing to me, even when I am playing softly. I’ve purchased two of these. The first one was airtight, the second one wasn’t. I sold the first one because it felt so small in my hand that it was uncomfortable, and because playing it irritated my tinnitus more than playing most harps. Many months later, I bought another one, forgetting how much I didn’t like the first one. This second one was worse than the first. Not airtight, possibly even more piercing tone than the first one. I bought this second one from Amazon, and sent it back to them. Good thing they have an excellent return policy. Worth paying $60 or so when you can get a perfectly good harp for $35? I’ll leave that up to you. In my opinion, hell no. Here’s the Crossover with laminated bamboo comb (the part with the air holes). Note: harmonicas in my pictures look bigger than they are. This is because of the webcam. Note: There is another Fender model that looks similar to this one, but it isn’t. The other one is a Fender/Lee Oskar combination. It is a Lee Oskar harp with a black matte Fender paint job on the cover plates. That model is not a Blues DeVille. I haven’t tried the Fender/LO model. I’ve already described the Blues DeVille near the top of the post. Here is Jake’s review. I hardly spent any time playing this one, because the Bluesmaster I received was pretty gross.. dusty and dirty when I played the notes on the inhale. I ordered a new one, but it didn’t feel like a new one. Curved, ergonomic shape. Quite a bit wider/thicker than most harps. Perhaps even thicker than the Seydel models. Requires more air than some. Plastic comb. Made in Japan. Suzuki makes some very impressive and expensive harmonicas, but this one is not one of them. It costs just under $32. Even though it’s got the usual stainless steel coverplates like most harmonicas, the coverplates on this one don’t feel quite as smooth as on the Hohners. My lips got more stuck on the Bluesmaster. Also, the Bluesmaster is wider than some other harps, and has larger sound holes than some. It’s ergonomic though.. no sharp edges, but is instead curved all the way around. The Bluesmaster just felt cheap. But that wasn’t my biggest problem. What really bothered me was that it was not shipped within a box or other packaging. It was just shipped in its little case. When I got it out and played it, as I mentioned, I inhaled dust or some other junk.. irritated my throat! NOT what one wants in a new harp! Also, the harmonica did not fit at all well in its case, it rattled around quite a bit. Because of the dust and stuff in the harmonica, I sent it back to Amazon, and got a refund. Surprisingly, some folks love the Bluesmaster. Jake hasn’t reviewed this particular harmonica, in case you are wondering. So, I am posting another review. The guy in this video plays very well, and plays both the Special 20 and the Bluesmaster. He prefers the Bluesmaster, and explains why. Here is the Special 20. The cheapest one I’ve purchased. Plastic comb. Looks nice. Pleasant tone. A bit larger and less comfortable to play than the SP20. Made in Germany. Usually under $30. Many people on youtube like these. 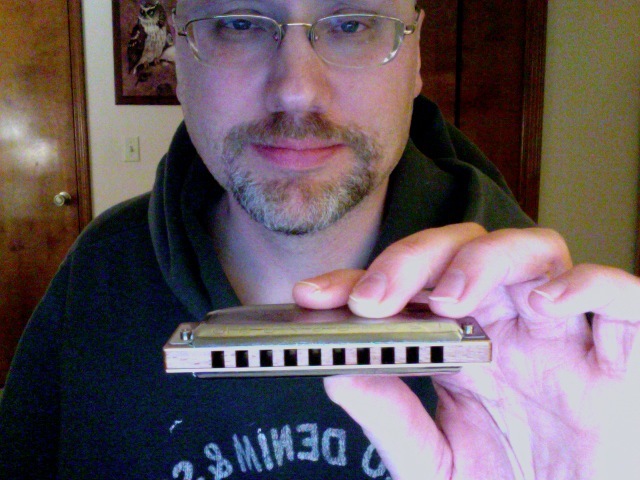 I got curious about harmonicas that come in low-pitch. Any harmonica in a key under G is considered low pitch. I found a Big River Harmonica in F# (one half step down from G.. just a bit lower than that key) from RockinRon’s for only $15 and free shipping. I ordered that one with the Blues DeVille. The Big River is of a little lower quality than the other harps I’ve got, and is tougher to play. Perhaps the one I ordered turned out to be defective. I have lots of difficulty drawing notes on the two and three holes. This might be partially because the harmonica is low pitched, but maybe not. F# is a very uncommon key to play in. If you are jamming with bands, you probably won’t use a harp in this key. I just bought the F# because it was so cheap and because I wanted a low harp. I’m not going to play this one as much as the others, but it does sound good. And, I can use it to train myself to strongly draw in those two troublesome notes. Since I have far better quality harps than the Big River, I just haven’t felt like playing this one. I don’t want to go through the trouble of trying extra hard to draw notes on holes 2 and 3. 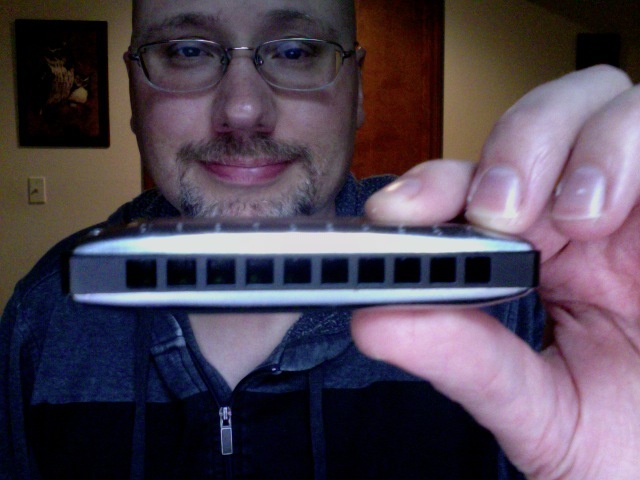 Also, the comb on the Big River sticks out farther in the back than on most harmonicas. I keep resting the middle finger of my left hand on the edge of the protruding comb. This feels a bit annoying at times. 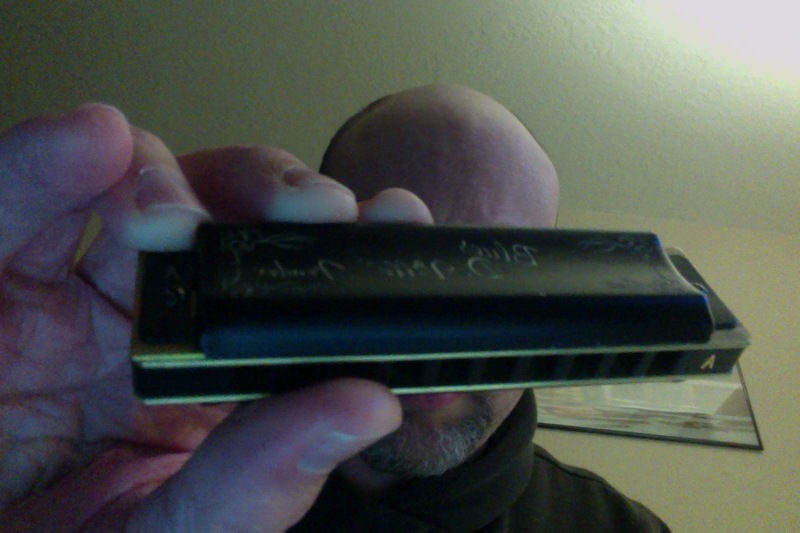 I’m selling this harmonica, and will not be buying another, although it is possible the one I bought was defective Lots of folks on youtube like this one, but I do not. Here’s the Big River Harp. Before I get into the details, let me just say.. stay away from this one if you are a beginner. It is the most uncomfortable harmonica I’ve played. These sound great, but are otherwise horrible. I’ve been curious about this one for a long time. The body style is a little different from the original Marine Band. The comb is made of a different type of wood than the classic MB. Unlike the standard Marine Band, it is possible is to take this one apart and put it back together. 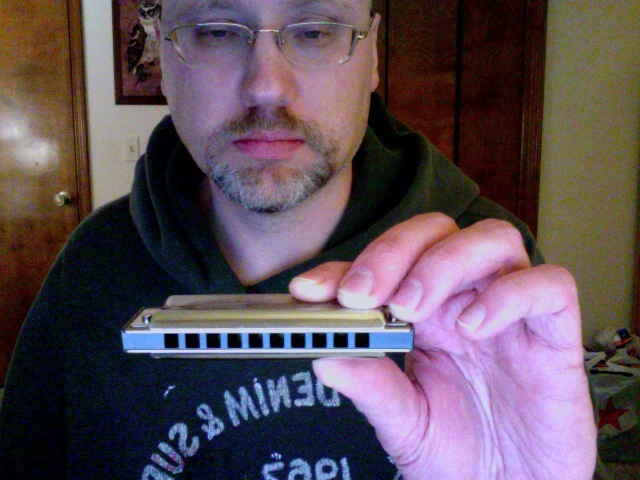 The Blues Harp usually sells for a bit under $35. Once in awhile, it is possible to find a product on ebay labeled “new-old stock,” or NOS. This means the item has been sitting around in a store room or warehouse, for years or even decades, but has not been used. Be careful about buying any NOS product, whether it be a harmonica or a safety razor or whatever. Make sure the NOS product is still in its original packaging. You can usually tell by the pictures of the item on the ebay listing. I just got a great deal on ebay. I paid $26, including shipping, for a NOS Blues Harp, still in its packaging. The tone is good, dirty and gritty. This one feels differently from Marine Band models, even though it has a wood comb. The cover plates have a different shape, and no side vents for the sound to come out that way. Airtight? Not so much. In fact, it is the least airtight harp I own. Practically impossible to get the draw notes on holes 2 and 3. The only other harp I have that problem with is the Big River, but those notes are a bit easier to hit on that one. Comfort.. the Blues Harp has some sharp edges on the sides, but not too bad. The sharp edges along the playing surface of the reed plates.. bad. This is the only harmonica that I’ve played that has cut my lip.. slight cuts on bottom lip. Tongue blocking… ouch!! The wooden comb on this harmonica is a lot rougher on the tongue than the plastic combs on most of the other harps I’ve tried, and is also worse than the bamboo comb on the Crossover, which feels fine. I love the tone of this harp. Nothing quite like it (the tone of the Blues DeVille comes the closest, but not the same). 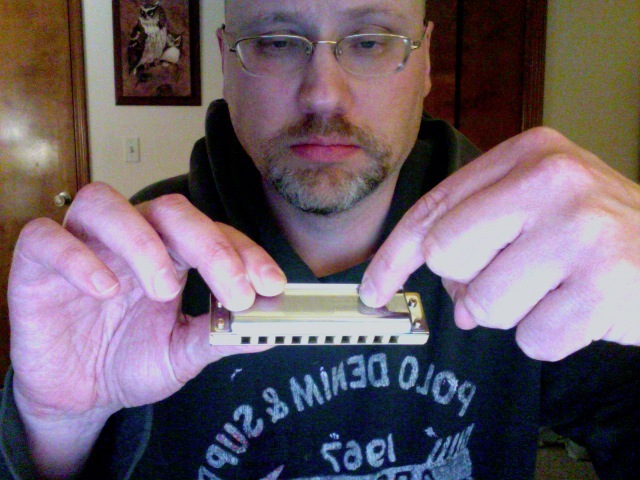 However, the Blues Harp is not airtight, and is very uncomfortable to play. Since these harmonicas, whether the recent model or NOS, are quite a challenge to play, due to not being very airtight and also uncomfortable compared to other models, I strongly recommend beginners NOT start out on a Blues Harp. Here’s Jake’s review of the blues harp.. he doesn’t like it much, and he brings up some good points. I’m wondering if Jake reviewed a Blues Harp made within the past year or so. Seydel Blues Session Steel and Blues Session Steel 2014 Summer Edition. 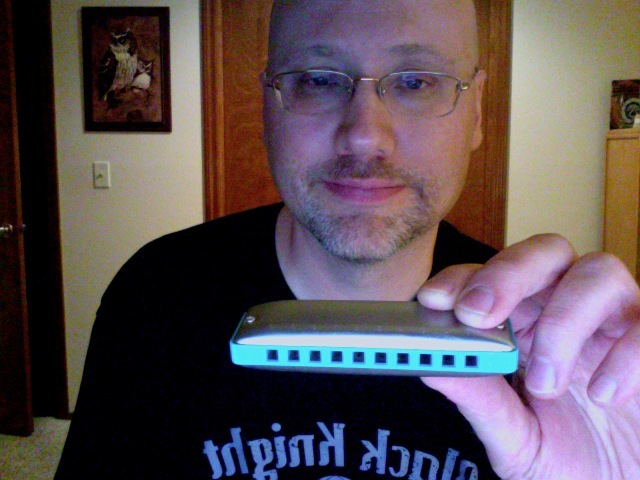 I’ve been so curious about the Seydel Blues Session Steel pro-grade harmonica for $60. It has a plastic comb, but has silver reed plates and stainless steel reeds. These reeds are much more corrosion-resistant than brass reeds, and are supposed to last up to 5 times longer than standard brass reeds. The Session Steel looks interesting. It’s quite wide, and curved, somewhat like the Bluesmaster.. no sharp edges and designed to be beard and mustache friendly. This is a great feature! Also, it has such a sweet tone! Probably not the best tone for blues though, I’m guessing. People who play Celtic music use these harps. Some even come in a special tuning, called Paddy Richter, but I just went for the standard harmonica Richter tuning. The thickness of it, shape, weight, different length and width, size and spacing of the sound holes all take some getting used to. After playing a Hohner for Fender for awhile, this one really feels strange. Have to open my mouth wider to play it. This is not a harmonica I’d be in a hurry to recommend to those folks who have small hands and short fingers. But even those folks might not mind that the harp is longer than most. Also, because of the size and shape of this harmonica, it will not fit in a standard harmonica rack, or so I’ve read. A harmonica rack is a metal frame placed on one’s shoulders that holds the harmonica up near one’s mouth. This enables the musician to have his or her hands free to play guitar or other instrument. The most famous person who has used a harmonica rack is Bob Dylan. Neil Young is also famous for using one of these. Most harps will fit in a rack, but not a larger one, such most Seydel models. I don’t have need of a rack anytime soon, so no worries. One thing about Seydels I feel I should mention. Unlike any other harmonica I’ve bought, this one does not come with a case. All the others except for the Hohner Crossover come with a rectangular plastic case. Included with the Crossover is a zippered neoprene case that is moisture absorbent. The $60 Seydel.. inside the cardboard box, you will find a harmonica, and a leather sleeve to put it in. That’s it. No plastic carrying case. I read a review on amazon that said it is possible to buy a Seydel neoprene zipper case from the Seydel website. It costs over $20, including shipping. Oddly, Seydel harps fit fairly well in Big River Harp cases. This is one carrying option. Another is to put the harmonica in its leather sleeve (hard to get the harp out of the sleeve if I push it in too snugly), and put that inside the little cardboard display box, and carry it that way if I want some extra protection. The best option is to buy a Hohner case I wrote about in the Blues DeVille section, if you can pick up one cheap on Amazon or another site. If you buy directly from Hohner, you might have to pay more. I like the tone of this harmonica.. like it quite a bit. It is quieter than some made by other brands. This can be an advantage if you are living with relatives or have sensitive ears like I do. There is a cheaper Seydel model, called the Blues Session Standard. It sells for pretty much the same price as a Hohner Special 20. The Standard has brass reeds, not steel, and that is why it is lots cheaper. I’ll write about that one later in this post. Be careful buying a Standard on Amazon. Sometimes, the listing for this harp say that it is tuned differently than most harmonicas. It has “paddy richter tuning” The draw note on the #3 hole is higher than on other harps. This makes the harp especially good for Celtic playing (I don’t know why). Hence the name “paddy richter” “Paddy” is slang for Irish, and much Celtic music is Irish. Edit 4/17/15.. I like the Seydel in G so much that I bought one in C. I’ve been playing that one a lot. I prefer it over the Hohner Crossover. I like the feel and sound of the Seydel better. However, I think serious blues players will likely prefer the Crossover. I’m working on straight harp, and I like the Seydel’s mellow tone. It’s possible to make it sound mean, of course, but that’s not what I’m going for. Edit 5/23/15: I ordered a Summer Edition Seydel Blues Session Steel in A. Seydel releases limited edition harps every year with different colored combs and sometimes different cover plates as well. I don’t like the 2015 Summer Edition of B.S.S., which has a Kermit the Frog shade of green comb. I like the faded matte finish cover-plates (these feel a bit strange compared to most cover plates but I like them) and surfboard blue of the 2014 edition. I had to pay over $67 (USD) including shipping, but this will be worth it, as long as the harp is in fine working order. Edit.. I got fed up with the Seydel widths and so forth, and decided to sell them. Wish I had kept them though, in retrospect. I later bought a cheaper Seydel Blues Session Standard. Jake did a follow up review to this one, saying that he’d played it quite a bit and the reeds were still working perfectly. He was pleasantly surprised by the durability of the reeds. Since this harmonica is kinda odd compared to most, I’ll post another helpful review. This Swedish guy is cool. I’ve watched several of his reviews. Also, somehow, Suzuki got ahold of the Bushman design, and made a harmonica called a Harpmaster.. which is the same design as the Delta Frost, but made in Japan. I don’t see how this was legally possible, but it happened. I decided to buy a Bushman. first. It is a more well-known brand than the Buckeye Soul’s Voice, and I know that the Bushman is American-made (so is the Soul’s Voice). The harmonica is called Delta Frost because the owner of the Bushman company met a harmonica player named Frank Frost down somewhere in a club on the Mississippi Delta. The name of the harp is a tribute to Frank Frost, who is from the Delta. The Delta Frost is similar to the Special 20. Both have a plastic comb that extends past the reed plates. They are in the same price range. I’ve found Special 20’s going for $34.99 and free shipping. The DF sells for $37.99 and free shipping. There are some differences between this one and the Special 20. The DF has phosphor bronze reeds instead of the brass reeds of the Special 20. As I mentioned earlier, phosphor bronze reeds are supposed to last longer than brass reeds. The tone is different from the SP20. The DF sounds just a bit more bluesy. At first I liked the tone somewhat, but later I much preferred the tone of other harps, such as the Fender BD, Blues Session Standard, Lee Oskar, and Suzuki Manji, which I will write about in a bit . You can hear me playing the DF, the SP20, the Seydel Blues Session Standard and the Fender Blues DeVille in a video at the bottom of this post. You might notice that the DF is a quieter harp than the SP20. This is because they are constructed somewhat differently from each other. More sound is projected by the SP20. The other main differences between the DF and SP20.. The cover plates on the DF (and Soul’s Voice and Harpmaster) are, in my opinion, less comfortable than on the SP20. Besides the phosphor bronze reeds, there’s one advantage the DF has over the SP20: replacement reed plates are available for the DF, but not the SP20. It is possible to get replacement reed plates for the DF. Oddly, you don’t just get replacement reed plates, but the come attached to a replacement comb. I don’t understand why. The cheapest price so far that I’ve found for replacement reed plates/comb is $29.99 on Amazon. If you wear out a reed while playing a DF, buy replacement reed plates/comb ensembles from harpdepot.com to save some money. Edit 6/30/16. I put the DF in a drawer for quite awhile. I recently pulled out the DF to try for awhile and see what I thought of it. After occasional playing for a few months on this harp, three reeds seem to have failed, and I don’t even play hard. Perhaps there’s nothing wrong with the reeds, and I’ve just got something caught in the harp. This seems a remote possibility though, since I always brush my teeth and make sure there’s no food in my mouth before playing. I decided to take apart this harmonica. Couldn’t find anything noticeable jammed in the reeds. After cleaning the harp, I found that I could not put it back together! The screws that hold the cover plates are pretty much impossible to put back in. I’m going to give it one more try. I really don’t know what is wrong with this harp. Could be it is defective. Could be something tiny got stuck in the reeds, and it is not defective. Or it it is simply a poorly made harp. I can’t put it back together, and really don’t feel like paying $29.99 for reed plates/comb. I decided to try both the Harpmaster and Soul’s Voice instead. These pretty much the same, and and the SV comes with a 1 year warranty. Like the Bushman Delta Frost, there are replacement reed plates attached to a comb that are available for the Soul’s Voice. These can be found on Harpdepot.com for $15 plus shipping. I don’t know how much the shipping is, but if the shipping is under $14, then that means the price for a reed plate/comb replacement with shipping is cheaper than the price for a DF plate comb replacement with free shipping. Jake has not yet reviewed the Delta Frost. Actually, although I have found a few people on youtube playing this brand of harmonica, I haven’t found any review videos except for those done by one old guy who knows how to play advanced techniques and also how to customize harps. I watched those videos, and don’t think they’d be helpful for a beginner. I’m still not sure what to think about mine. I don’t know why the reeds failed. Did they get stuck, or was something done in them? Was the harp defective? I don’t know. Maybe, if you buy a Bushman Delta Frost, you’ll get a good one and be happy with it. If you want to spend less money to get replacement reed plates, buy Soul’s Voice reed plates from harpdepot.com. I just put Bushman DF cover plates on a SV reed plate comb ensemble.. worked fine. One of my top 5, already described. I haven’t found any review videos of the Soul’s Voice. The only SV demo I could find was of a guy playing the old Bushman Soul’s Voice, a harp at least ten years old, so I won’t be including that video. After I’ve played this one for some months, I’ll post an update of how the harmonica is holding up, and whether or not I still like it. I will say that, at this point, the SV is just barely superior to the other two. Most airtight, but only a little. Here is a review of the Harpmaster. The guy in the video makes references to some advanced techniques, like over-blows and bending notes, which you will want to work on eventually if you are interested in playing the Blues. I have a bit more information regarding this harmonica that you might find interesting. Lee Oskar was born in Denmark on March 24, 1948. He’s a professional harmonica player who was in the band War (you can hear him on the classic song “Low Rider”) for a very long time. Back in the 1970’s, Oskar was becoming more and more frustrated with the poor quality of harmonicas being manufactured at that time. He eventually partnered with a Japanese harmonica company called Tombo. He and the folks at Tombo spent years developing the Lee Oskar signature model. Tombo makes other models besides the Lee Oskar brand, but even though you can find them on ebay, they are not well known in America. The Lee Oskar model is called “Major Boy” in Japan. There is a harmonica made by Lee Oskar that is a hybrid between a Lee Oskar and a Fender Blues DeVille. 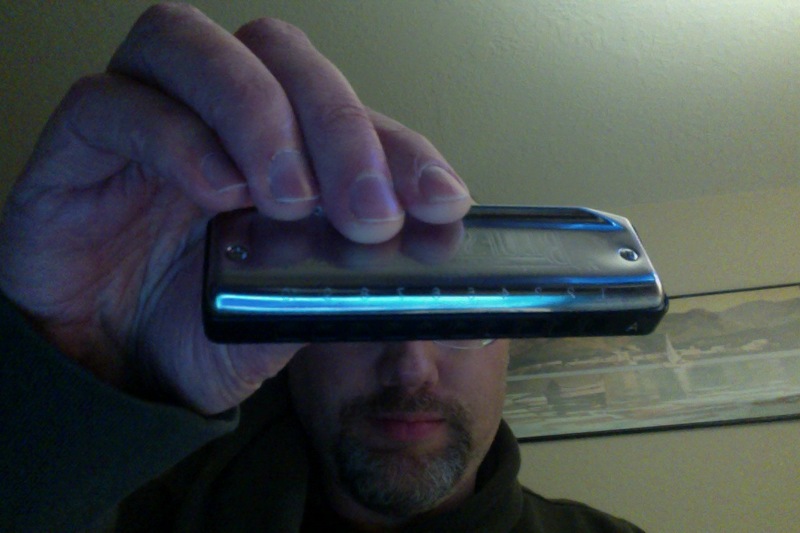 BD style Fender logo cover plates on a Lee Oskar harmonica, and the tuning is a tiny bit different. I haven’t yet bought one of these. All the other info I feel is relevant I put up toward the beginning of the post. Surprisingly, Jake has not reviewed a Lee Oskar harmonica. I don’t know why. Strangely, although there are tons of videos of people playing this brand of harmonica, I could find only one review of a Lee Oskar in standard tuning. The review is not exactly flattering. But that’s alright. 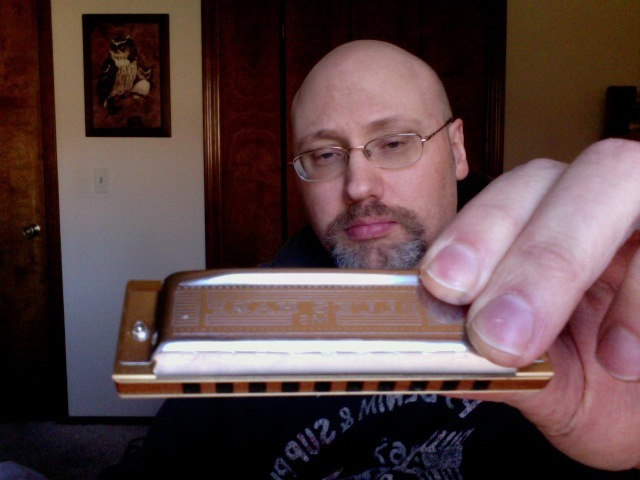 The harmonica this reviewer recommends, the Suzuki Bluesmaster, is one that I don’t like. To each his or her own, I say. This is a harmonica a lot of serious players like. But, I don’t care for it so much. I feel it is overpriced, and beginners should pass on this one. There are too many good ones that are cheaper than the Manji. This harmonica is called Manji because that is the first name of Mr. Suzuki, the founder of the company that makes these harmonicas. This harmonica, unlike some other Suzukis, is made in Japan. There are even more expensive Suzukis than the Manji. These tend to sell for at least $50, and some of them cost a lot more. Ironically, the higher priced Suzukis tend to be not as highly rated as the Manji. The Manji is meant to compete with pricier Hohner models Marine Band Deluxe and Crossover. It doesn’t sound like either of these, but is shaped like them. The Hohners have a more dirty sound to them, but it is certainly possible to make the Manji sound bluesy and dirty. The comb is made of some kind of resin (what ever that is), and mixed with wood fibers to simulate the feel and sound of wood, but it really doesn’t. The unique comb means the Manji has a unique sound.. somewhere between plastic comb harps and wood comb harps. The cover plates are like those on customized Marine Band harps. Customizers like to crimp the coverplates on the Marine Bands down so that the harp is more comfortable to hold. The cover plates on the Manji are already crimped down at the factory. The only concern I have about the coverplates is they seem just a little more flimsy than on some other harps, but I’ve not had any problems. I don’t like the feel of the Manji cover plates on my lips as much as most Hohner cover plates. Screws are placed differently on the Manji than on other harps, and the reeds have been spot-welded to the reed plates instead of riveted. This supposedly creates more tuning stability. The reeds are phosphor bronze. Since the Manji is made to be shaped like the Marine Band, it not only has side vents, but has reed plates that stick out past the comb. The reed plates do not stick out very far, nor are they sharp. Therefore, this harmonica is plenty comfortable to play. It just will take folks some getting used to if they are accustomed to harps with combs that stick out further than the reed plates. The Manji is shipped inside a solid case. Unfortunately, the case is almost as hard to open as those Fender Blues DeVille cases, so I will be carrying the Manji in a Hohner zipper case. The worst part though is the lack of airtightness, at least with the only Manji I own. For example, when I am breathing back and forth very very quickly while playing a chord, I get winded more quickly than when playing the Special 20, Delta Frost, Blues DeVille or Seyedel Blues Session Standard. This harmonica is just not that air tight. Even so, considering that the Hohner Marine Band Deluxe is $60 and the Crossover is $80, the Manji is a better value. That’s something, at least. I’d say, unless you really want a harmonica with a traditional shape and feel, that is very similar to the Marine Band, skip this one. What harmonicas do I most often play? Usually I play the one well-manufactured Fender Blues DeVille I own, and the Harpmaster. When not playing those, I play the Lee Oskar and Seydel Blues Session Standard. I’d also be playing the Seydel Blues Session Steel models if I’d had the sense to keep them. If I weren’t allergic to the Hohner plastic combs, I’d be playing the Special 20 as well. If you’d like to learn more about various harmonicas.. There are hundreds more harmonica demos and reviews on youtube besides those Jake has made. If you are curious about Seydel or Suzuki, you can find some reviews of those. Some videos that appear to be reviews are actually promotional videos. You can learn from those, but promotional vids won’t mention any negative aspects of the harps, like some reviewers will. If you want to read product reviews, you can check out the ones on Amazon or Musiciansfriend. 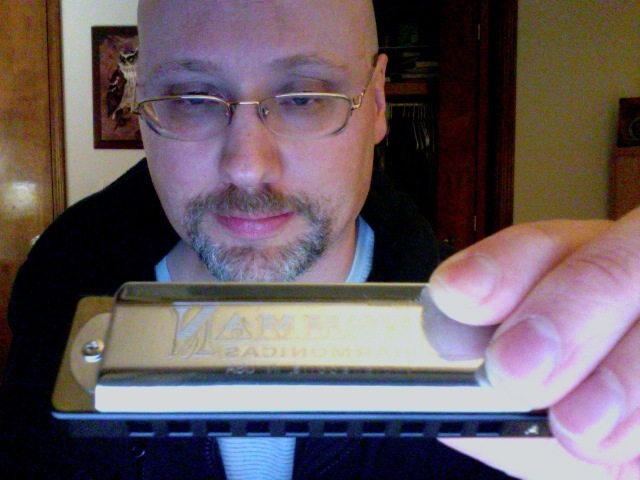 There are also various harmonica forums online. Part IX: Buying a harmonica..
Buying a harmonica.. well.. here’s the thing.. once you’ve purchased a harmonica, and blown into it, you cannot return it unless it is quite obviously defective, or seems used or has dust and junk in it like the Bluesmaster I bought and returned. (Thank goodness for Amazon’s excellent refund policy). It’s just not hygenic for stores to sell used harmonicas. It’s also illegal, I’m guessing. It’s possible that even if you buy a harmonica that turns out to be quite defective, an in-store or online merchant might not accept a return. Don’t buy a used harmonica. Jake on youtube strongly recommends not buying used harmonicas, even though there are tons of them available online. You just don’t know who has been using them, or how beat up they are. Also, to make them safe to play, they need to be taken apart, sterilized with various chemicals, and who knows what other labor put into them. Better to buy new. 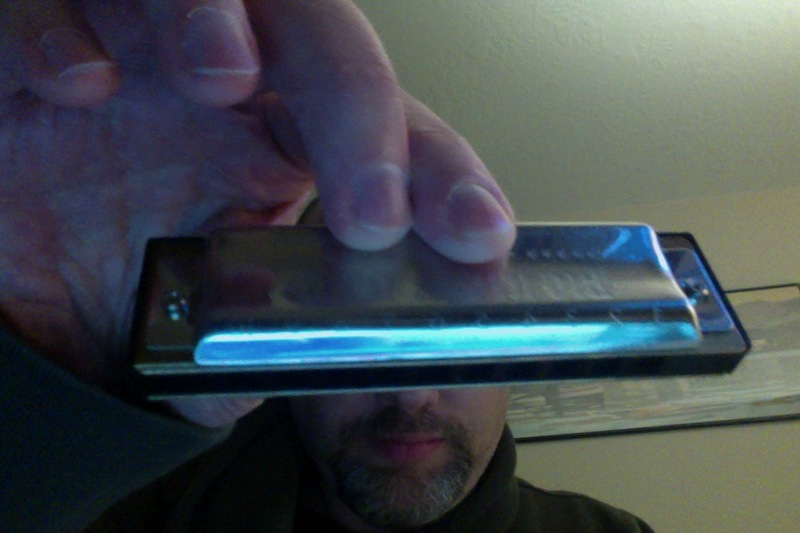 Don’t buy a new-old stock harmonica, unless it is still in its original packaging, like my Blues Harp was. A picture in the listing should show you if the harmonica is still in its packaging, or just comes shipped in its little case. If you buy several harmonicas you end up not liking (as I did), and want to sell them on ebay, that’s ok, as long as you list them as used, post several pictures, explain the condition of each harp as best as possible, and expect to get only a fraction of what you paid for each harmonica. Also, please do not sell harmonicas you know are damaged, defective, etc. unless you list them as such. Ebay has many great deals. Take your time. There are likely to be many vendors on ebay selling the same instrument at different prices. Some might come with free shipping, some not. Some that don’t come with free shipping might still have a cheaper total cost than those that do. Amazon is good to check too. Rockin’ Ron’s prices are usually higher than on ebay, but there are some good deals on that site, if you can find what you want on sale. For example, the Blues DeVille was on sale and $5 cheaper than anywhere else. Amazon’s harmonica prices tend to run high at times compared to other sites, but not always, so Amazon is worth a look. Same goes for Musiciansfriend, Sweetwater, and those other major online instrument sellers. If you want to buy a harp from a store, chances are, there will be a limited selection. You will of course find Hohners, and probably some made by Lee Oskar. You also might find Fender harmonicas, maybe. It’s unlikely you’ll find Suzuki or Bushman or Seydel at a music store. Also, prices at music stores are likely to be higher than online. Plus, you’ll have to pay sales tax if you buy a harp in a store. Some music stores will do price matching, but will probably not do price matching of harps sold on ebay. They will likely do price matching with Amazon, Musiciansfriend, etc.. the major online retailers. Some music stores won’t do price matching at all. But still, you’ll have to pay sales tax. That’s not factored in when price-matching. If you are very lucky, you might find a music store that has a harmonica tester. It is a bellows-like device that harmonicas can be attached to. It sends air through the harmonicas, so you can hear what they sound like. But it is extremely unlikely a store will have one of these. I’ve never seen a harmonica tester, except for online. After doing some research and making a decision, you will likely save money by buying online. But then, buying online, you might have to pay for shipping. Some vendors offer free shipping, and some do not. Still, I believe better deals are usually found online. Only benefit to buying in a store is that if the harp is defective, you can return it to a store instead of mailing it to an online vendor, if the seller accepts returns. This will save you some time. If you are planning to buy a harmonica from a store, ask if it is possible to make a return. If the salesperson says yes, good. However, you still might later find yourself in contact with a salesperson who says no. There’s a risk to buying a harmonica, regardless of whether you buy from an online vendor or in a store. All the harmonicas I’ve written about I have bought online. So.. which one to buy if you are a beginner? I would say the Suzuki Harpmaster, Buckeye Soul’s Voice, Seydel Blues Session Standard, or Hohner Special 20. You might like the Lee Oskar alright, especially if you have a small mouth, narrow lips, and don’t think you’ll be bothered by the top cover plate. Many many players like this harmonica, but I didn’t care for it. If you want to take a chance on a Fender Blues DeVille.. good luck.. it’s possible you’ll get one that has been well-made. I’d say, if you feel like it and you have the money, buy a few harmonicas in the same key. Try each of them out for awhile to determine which ones you like best. Give some time to each one. Some that I didn’t like at first, and put away, I came to like more later, and vice versa. The downside to this plan is that you might have trouble deciding which one you like best and drive yourself temporarily nuts, like I do. The other downside to buying more than one harmonica in the same key is that you’ll lose some money if you choose to sell the harmonicas you’ve decided you don’t like, and sell them as used. If you quite like the first one you’ve bought, it is probably best to stick with that one, play it awhile, and not worry about trying other kinds, unless you get really really curious like I did. If you get serious about playing harmonica, you might become like most folks who got serious about this instrument, and who have ended up with a drawer full of harmonicas in the same key. After you’ve gotten past the beginner stage, have learned some songs, have mastered some advanced techniques, and have figured out which model or models you like best, it will be time to buy some harmonicas in other keys, so you can play with a band if you want. Part X: My videos and some inspiration. I’m going to leave you with four more videos. Three are videos I made back in 2015. I was not an experienced player when I made these videos. However, watching these will still be helpful.. I play at least two harps in each video and you can hear what the different harps sound like. The first video is my demonstration of several of the harmonicas I’ve owned. At the time I made this video, July 7, 2015, I hadn’t yet purchased several of the harps mentioned in this post, and had already sold the Marine Band Crossover, Big River Harp, and Bushman Delta Frost. The harps in the video are the Special 20, Blues Session Steel (regular and Summer Edition), new-old stock Blues Harp in A and Blues DeVille. In the second video, I compare and contrast the Special 20 and Lee Oskar, since they are in some ways very similar to each other, but in other ways, not so much. At the time I made this video, I really didn’t like the Lee Oskar, hardly played it at all, and sold it. I later bought another one, and liked it a lot more than the first one. Didn’t mind the cover plates as much, and liked the tone better than I had. Keep this in mind while watching the video. In the third video, I share with you the Hohner Special 20, Bushman Delta Frost, Seydel Blues Session Standard, and Fender Blues DeVille. I play the harmonicas, and talk about them some. I made these three videos before the rather long one I made that is up near the top of the post. The fourth video is a performance by Blues Traveler, featuring John Popper, who is quite likely the world’s greatest and most innovative harmonica player. Up until recently, Popper played Special 20’s, but he currently performs on his signature model, which has a Fender logo on it, but is made by Seydel. And now.. how about some inspiration!! Good luck with your harmonica pursuit. Yes, I have many of those instruments you mentioned. I might suggest a Native American style flute — wood not plastic — for the mellow tone. For portability, get a smaller one (like a high B) that still won’t be as piercing as the whistle. For feeling the vibrations in your fingers when you play, get something like a low D. If you love music (as you appear to) you will love these flutes. I looked into Native American Flutes. There’s a brilliant tinwhistle and NA flute player out here in Idaho. I talked with him about the flutes. He says that, unlike the tinwhistles, it is not possible to overblow the flutes and reach a second octave. I’m not, at this time, interested in an instrument with such a limited range of notes. But I might get an NA flute someday. They do sound really nice and peaceful. I checked out your website. It is very nice! I like not only the flutes on there, but the little harp instruments as well. I also like the little birdies. Thanks man. Great job. It’s just what I needed. I save my harp tabs which I get mostly from HARP TABS .COM to a free app called EVERNOTE,the ones I think I have a good chance of learning I put on my tablets home screen for easy access ,just thought i would but that in , enjoyed reading your stuff and your harp choices,have you tried the Rocket yet? I’ll check out harp tabs.com and evernote, thanks! I haven’t tried the Hohner Rocket. I have an odd allergy to the plastic Hohner uses in their harps. I can play all other brands of harps with plastic combs just fine. Very strange. If I didn’t have this allergy, I would have kept the Special 20. I think it is a very good harmonica. I’ve read some positive reviews of the Rocket. For those who are reading this comment who don’t know about the Rocket harmonica, it is a louder, more expensive version of the Special 20. The cheapest price I can find right now is just over $55. I wonder if I can put a youtube video in a comment. hmm.. The only harp I play these days is the Seydel Blues Session Standard. These days, I don’t play often. I’ve got lots of instruments, and I dabble in them here and there.. Various tin whistles, a Seagull Merlin, a Xaphoon, several harmonicas, and am soon going to be buying an electric guitar. I’ve owned many of those at different times in my life, but don’t have one right now. I have one on order at a music store, and am waiting for the police hold to expire.. pawn shop hold.. same thing.. used instruments are to be kept at a store for a month, and records sent in to the police department so cops can check to make sure the instruments aren’t stolen. I’ll be able to pick up the guitar on 4/5/16. I’ve devoted a lot of time to electric guitar shopping these past few weeks, and just recently wrote a brief post about good electric guitars for beginners. In the past I’ve tried both steel and nylon stringed acoustic guitars, bass guitar, cigar box guitar, piano, ukulele, guitalele (a uke with 6 strings, tuned in A, about 1/3 the size of a classical guitar) clarinet, trumpet and alto saxophone. I’m not good at any of these instruments, but I’ve researched many of them. It is often easier for me to read and then write about an instrument than to learn how to play one very well. I’m best at tin whistle and low whistle (which is just a larger tin whistle that is an octave lower than the standard-tuned in D whistle). If you are at all curious about bass guitars, I have a post of over 41,000 words entitled “Bass Guitar Buyer’s Guide for Beginners” which you might like. I summarize the post in the first part of it, in case some folks don’t want to read the whole thing. I also recommend reading my post on the Seagull Merlin. It is a small instrument based on the Mountain Dulcimer, but can be played like a guitar. Thanks for your comment! I am always glad when people take the time to write and let me know that a post has been found useful.